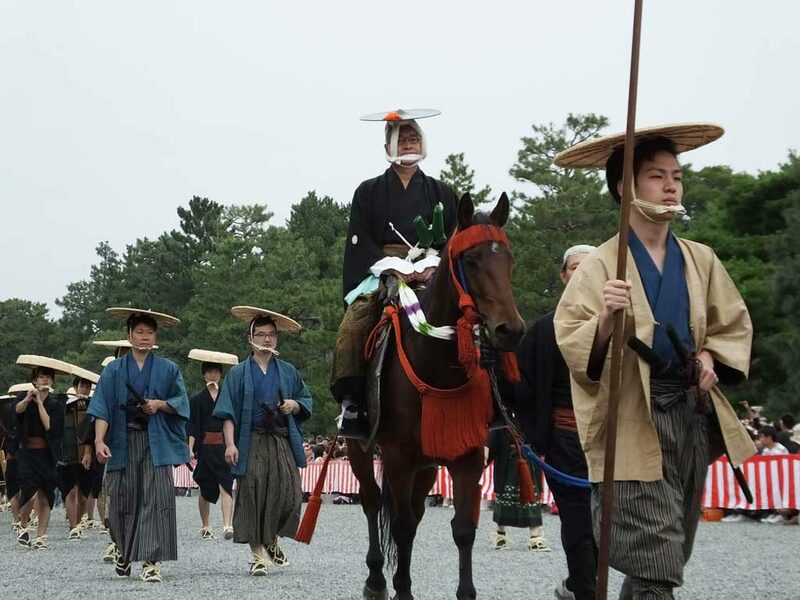 Jidai Matsuri (Festival of the Ages) is known as one of the three main festivals of the city of Kyoto, together with Gion Matsuri and Aoi Matsuri. 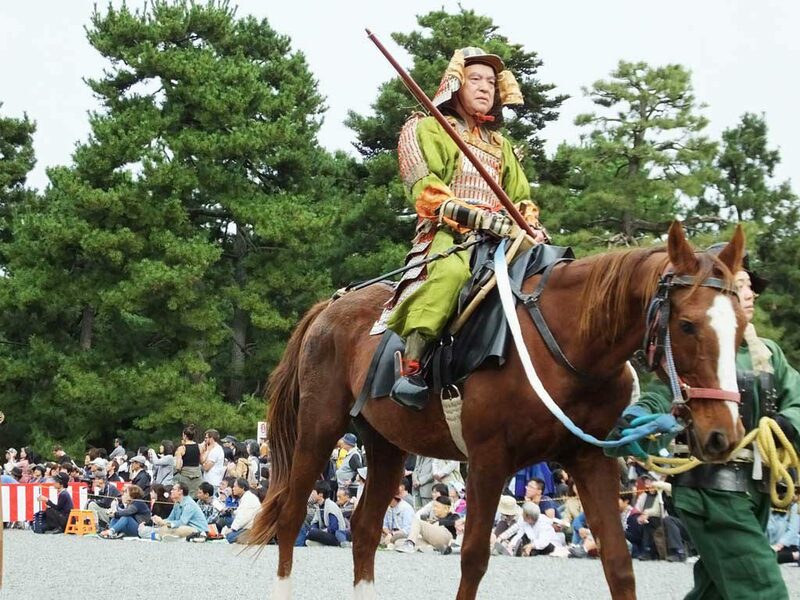 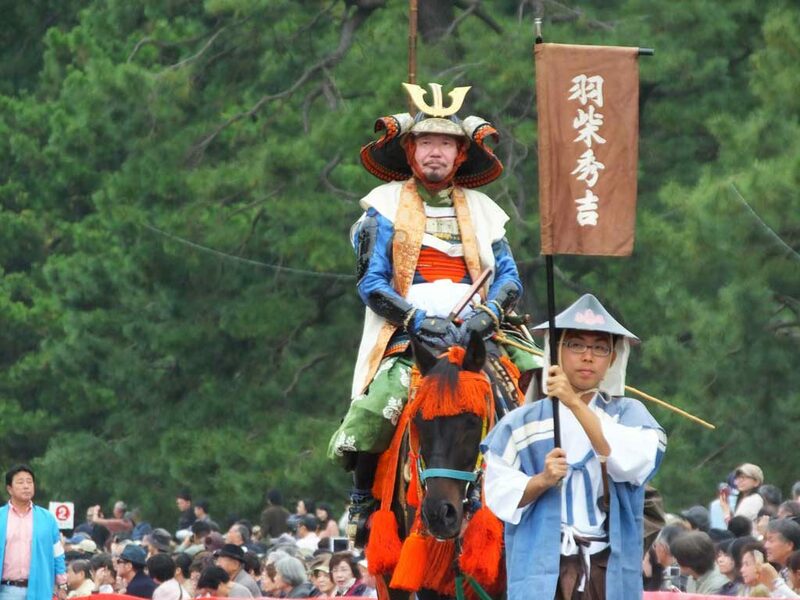 It is held by Heian Shrine from October 15th to 23rd every year. 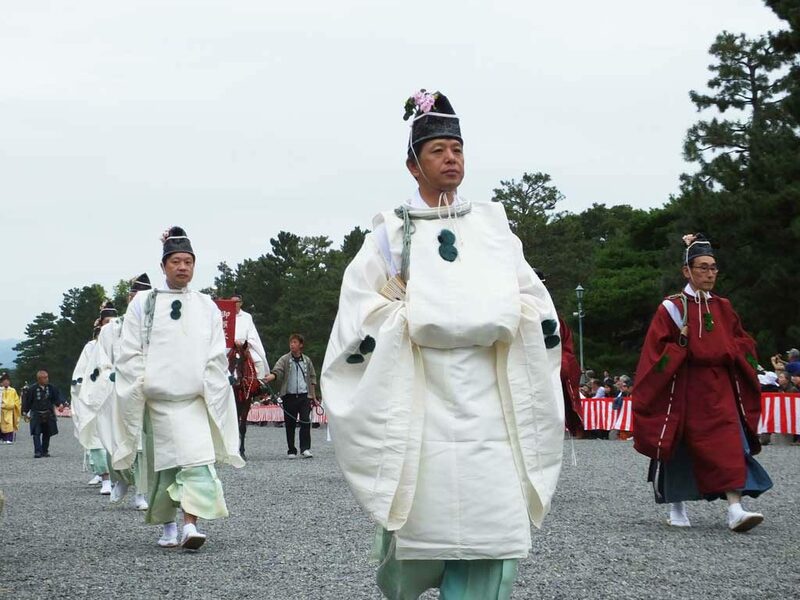 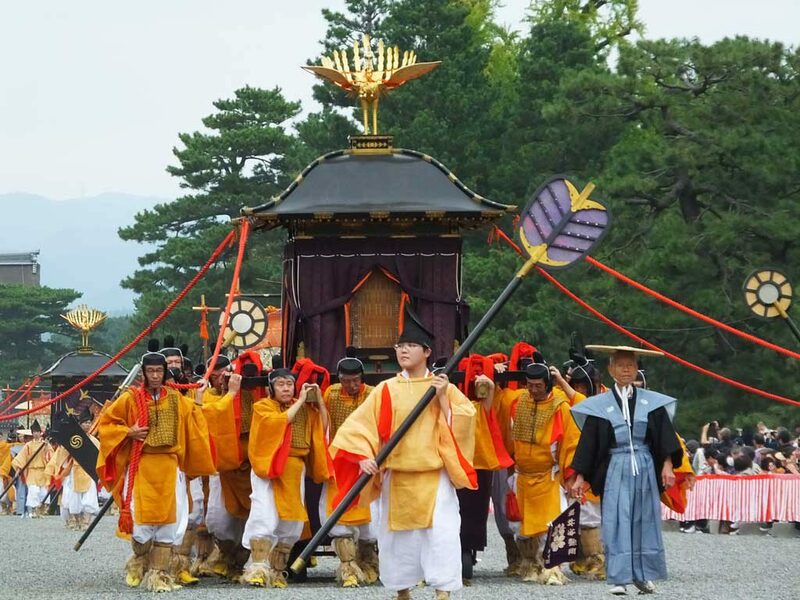 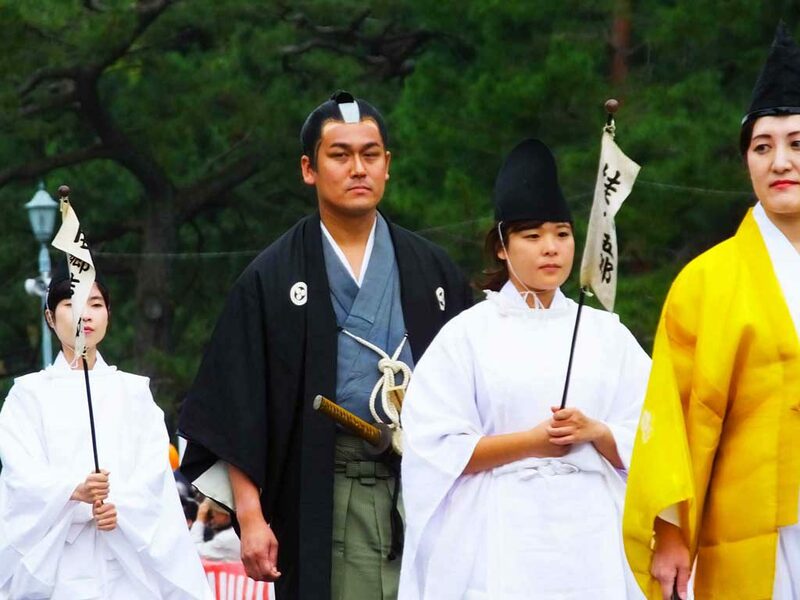 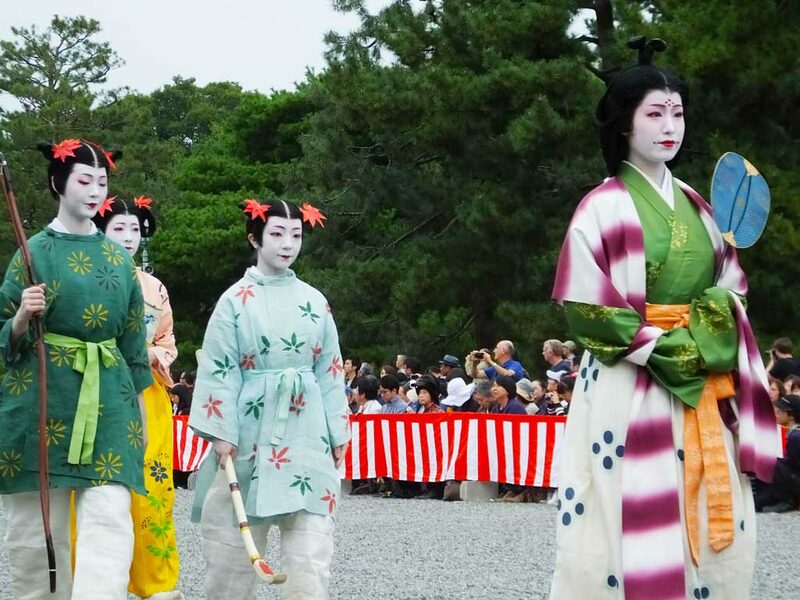 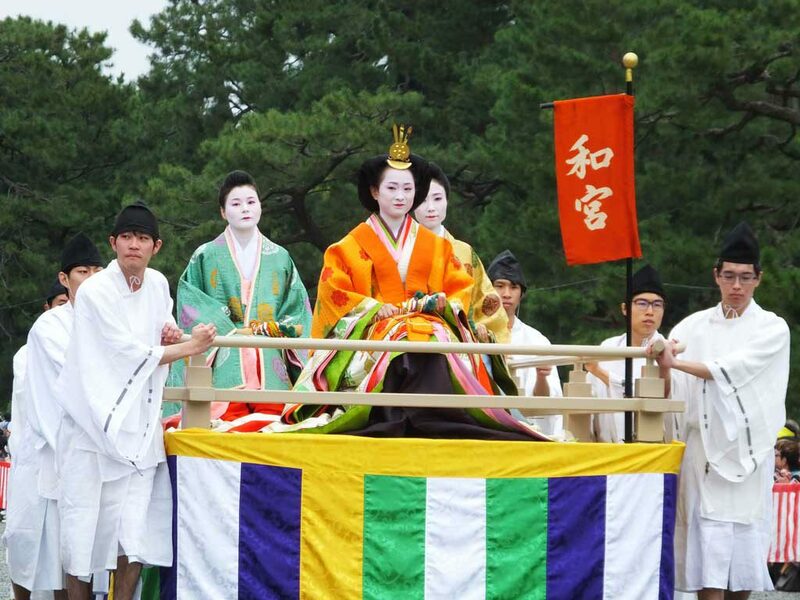 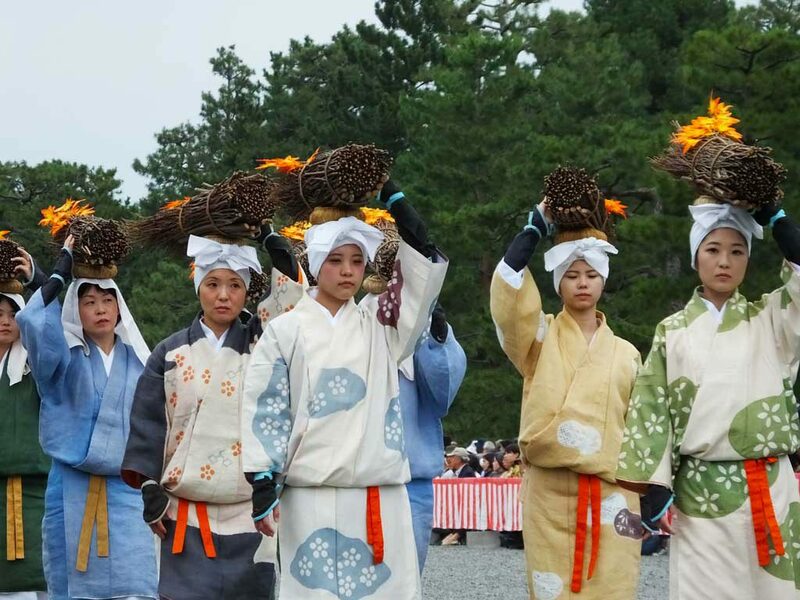 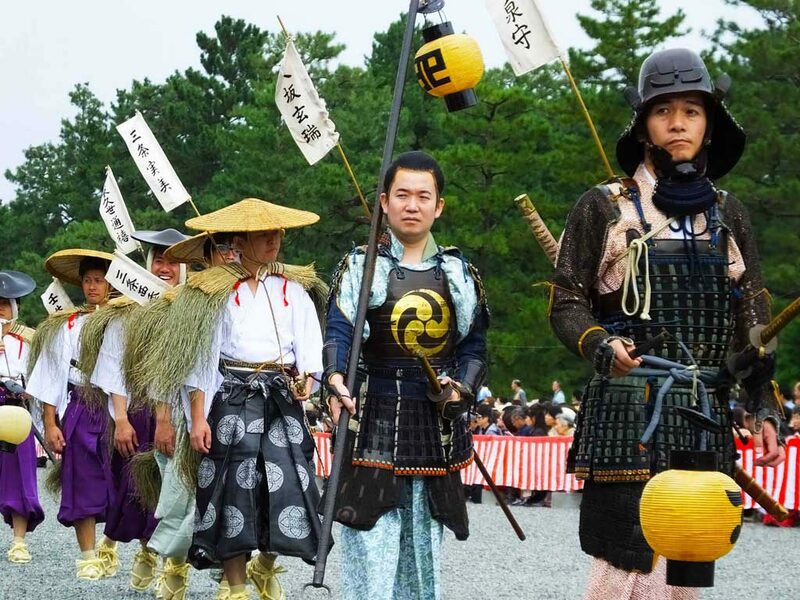 The highlight is the procession called Jidai Gyoretsu on October 22nd, the anniversary of the establishment of Heian-kyo (the former name of Kyoto) as the capital of Japan. 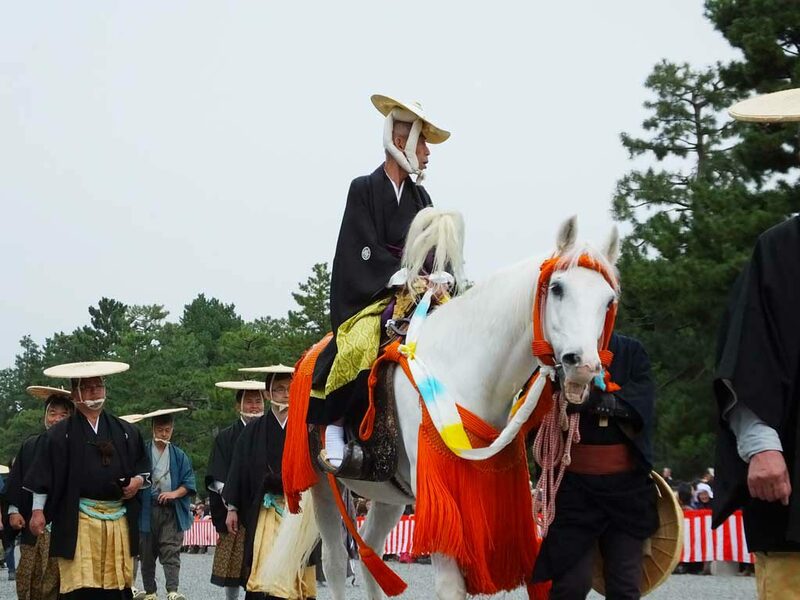 Heian-kyo was the capital for over one thousand years from 794. 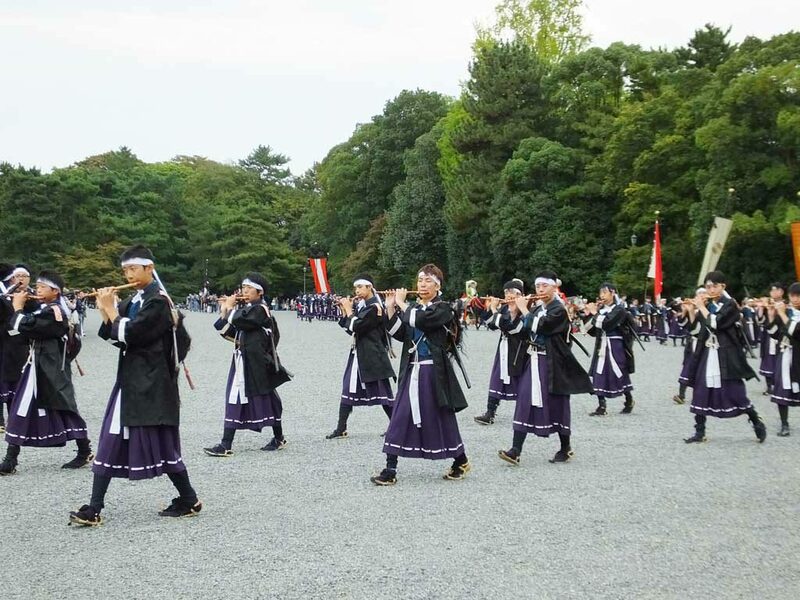 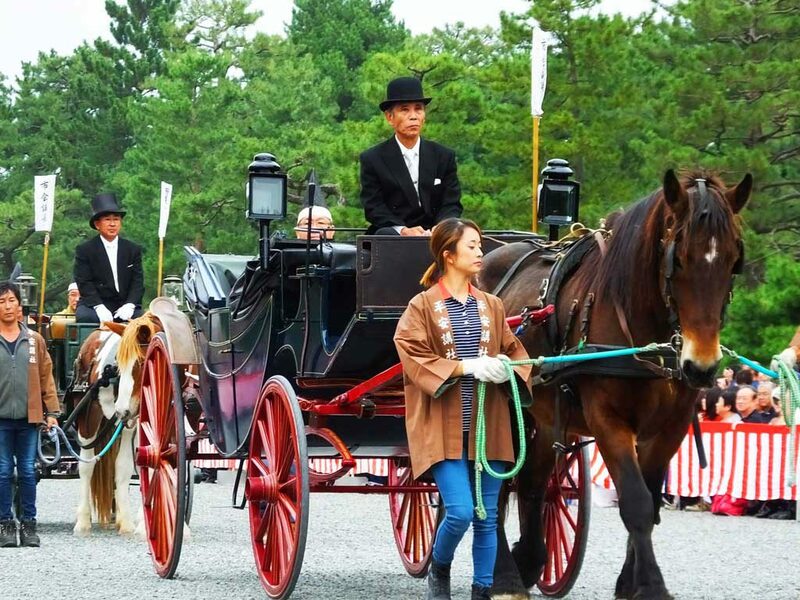 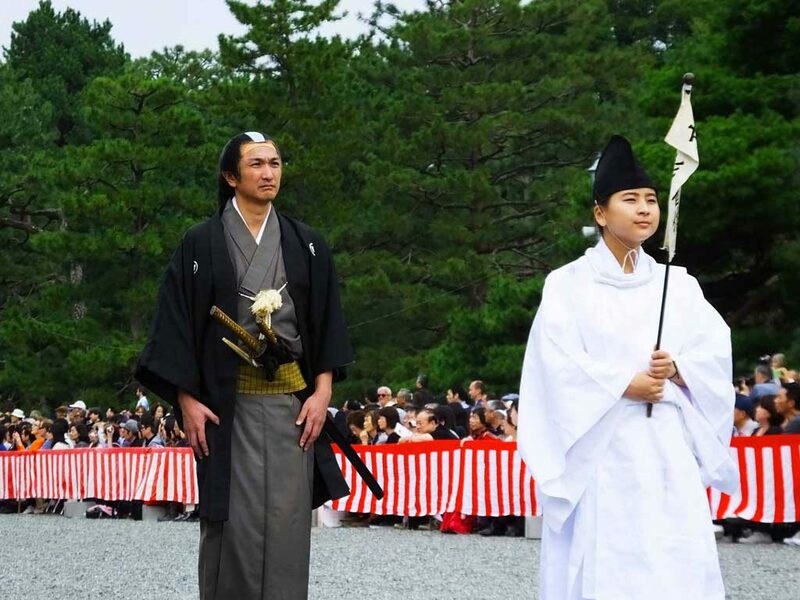 By watching the procession, you can learn what each era looked like, from the Meiji Period (1868―1912) to the Enryaku Era (782―806), like time traveling. 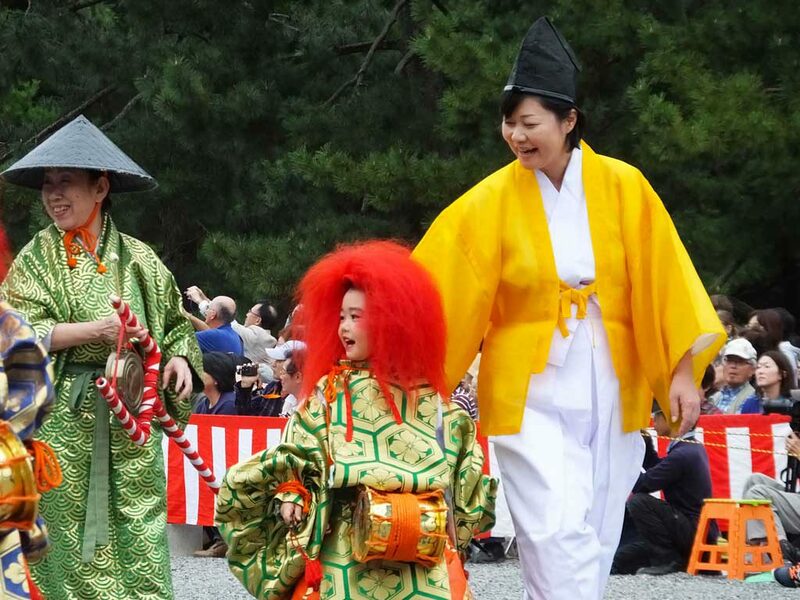 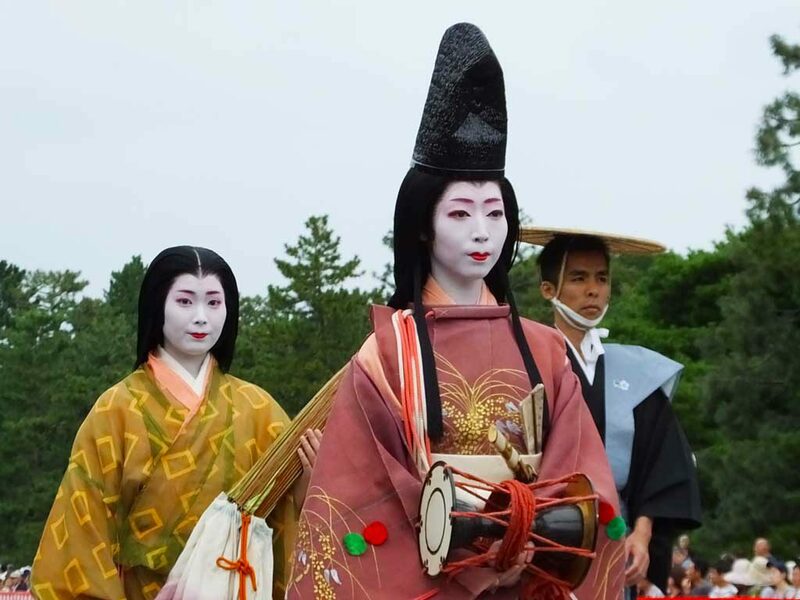 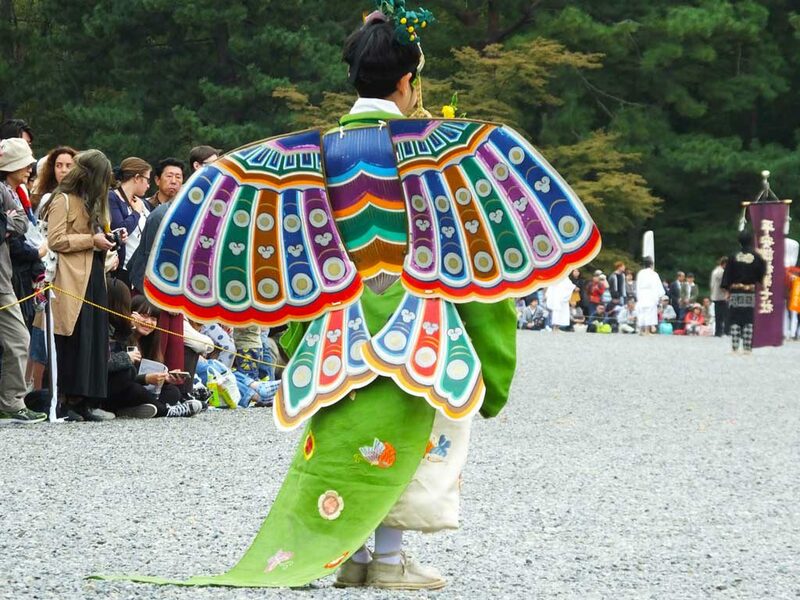 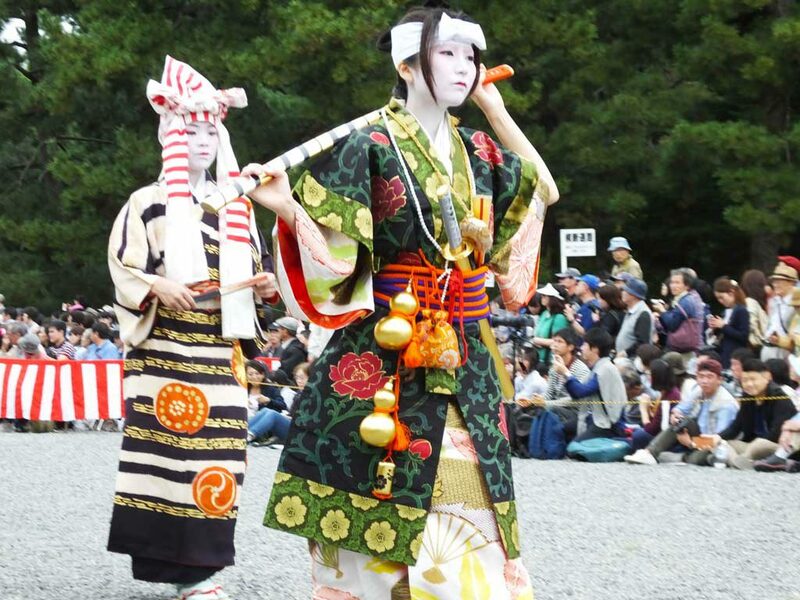 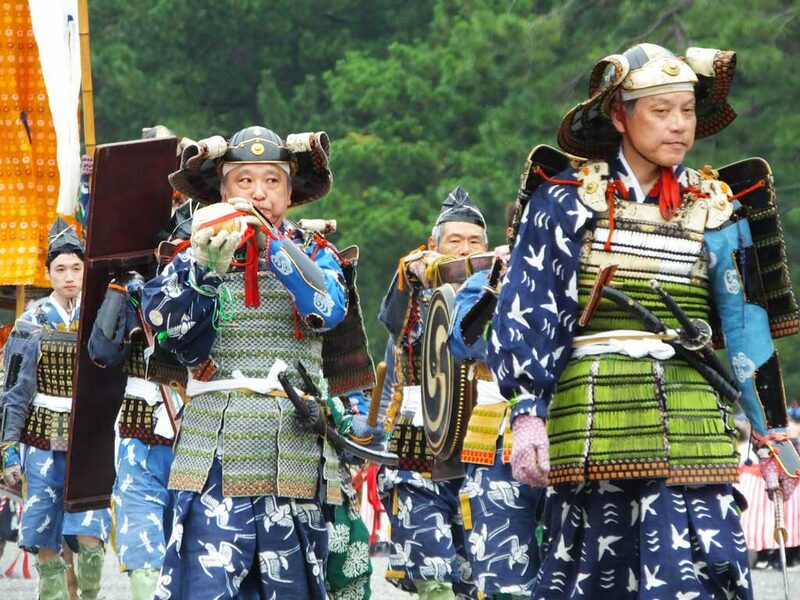 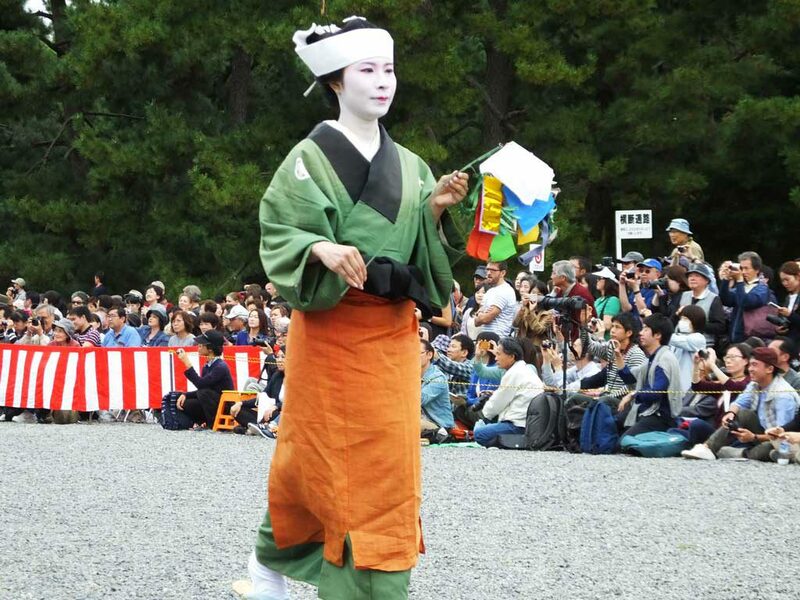 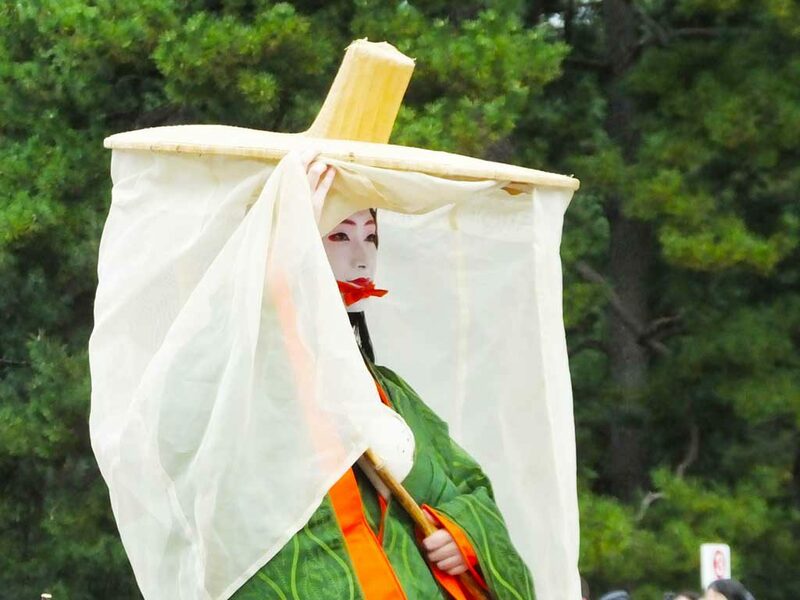 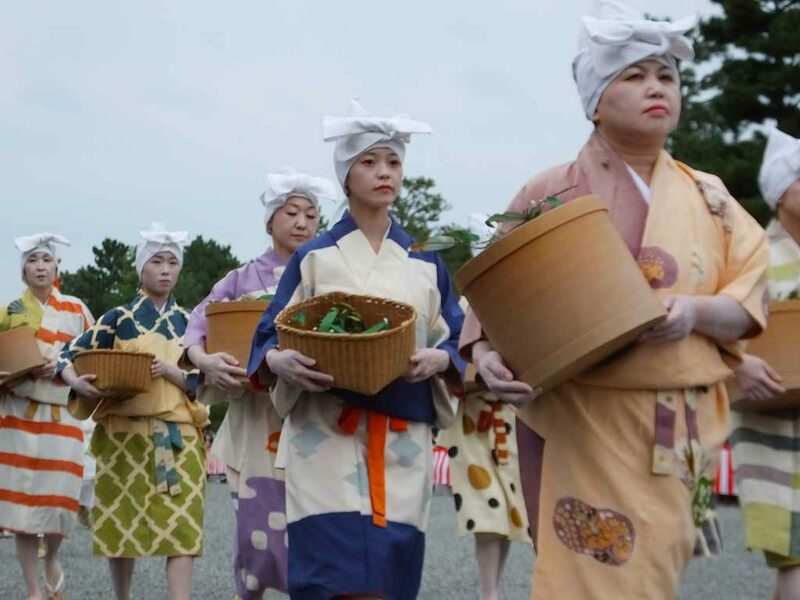 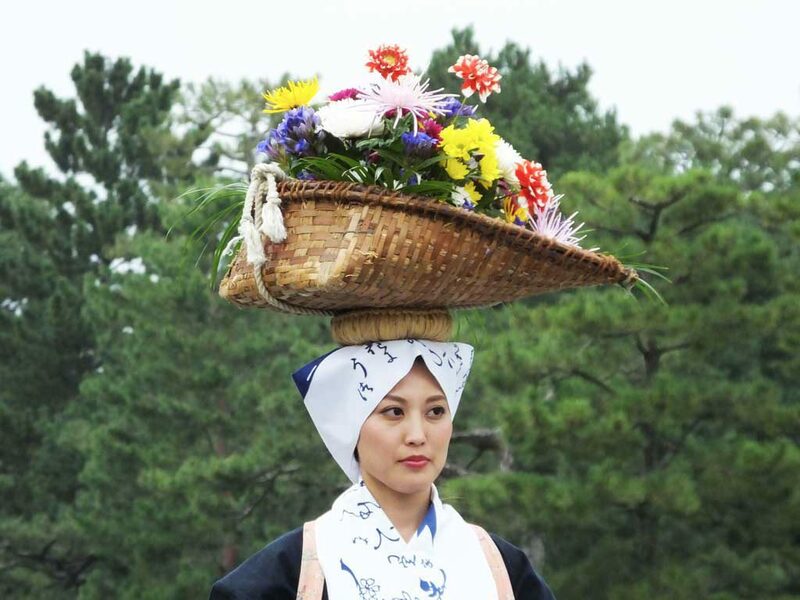 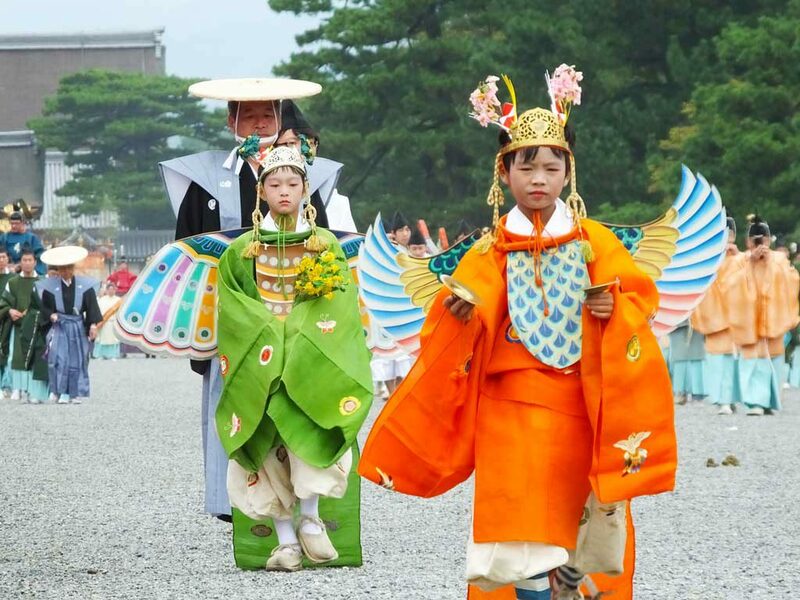 People are dressed in costumes that represent each era, and you can see historical characters and traditional Japanese crafts with deep roots in the history. 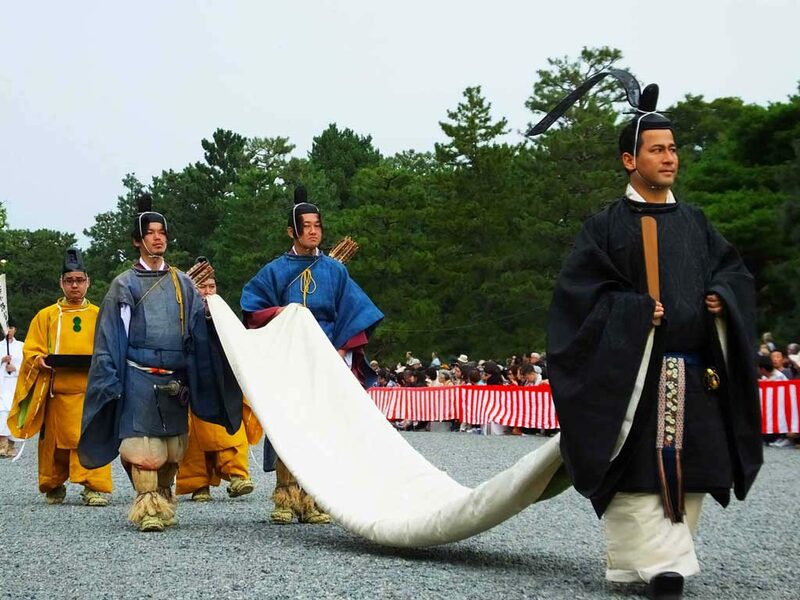 Jidai Gyoretsu is often described as “a moving emaki (a picture scroll) depicting the history” and it is worth watching. 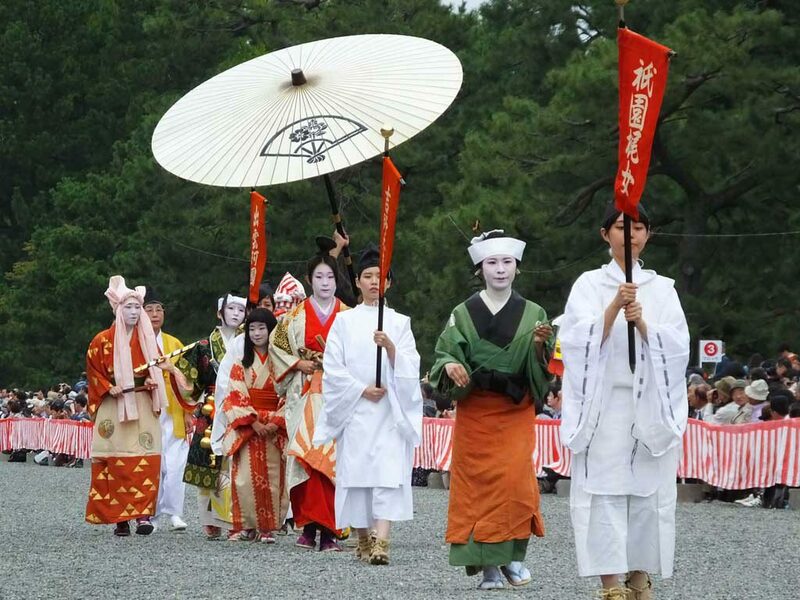 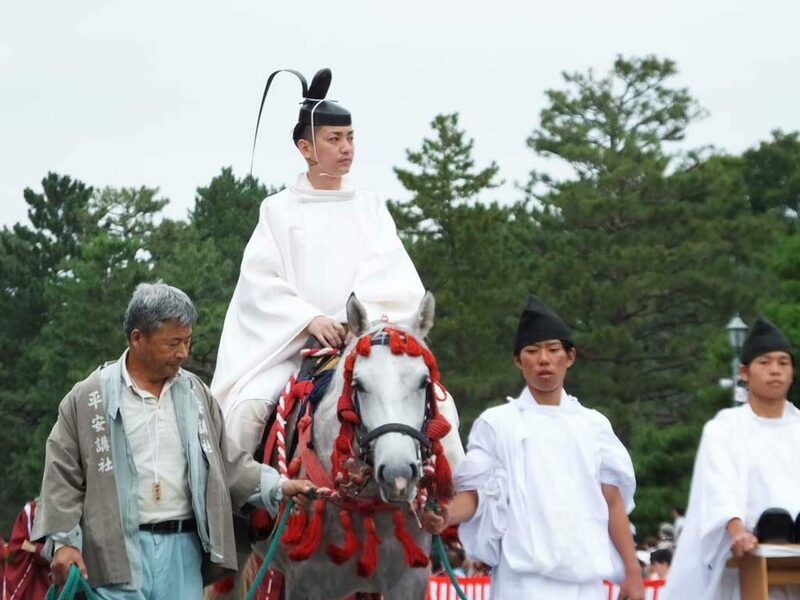 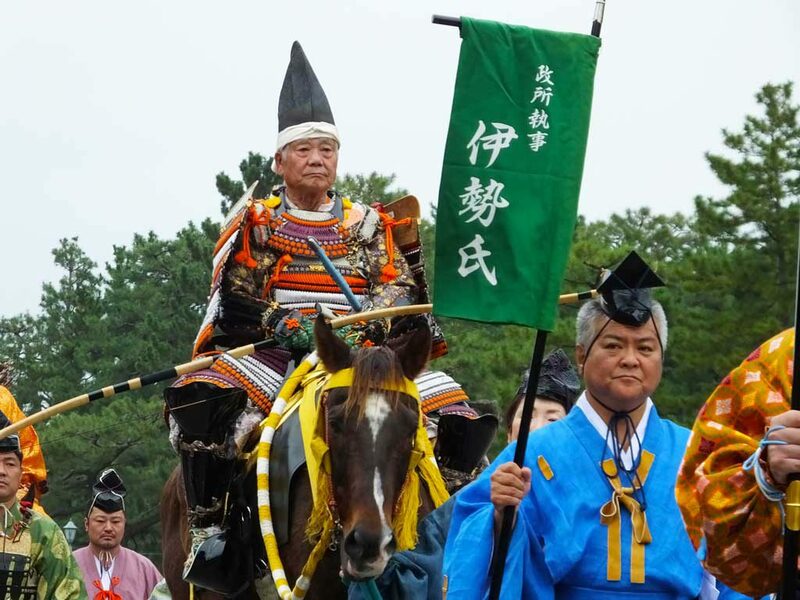 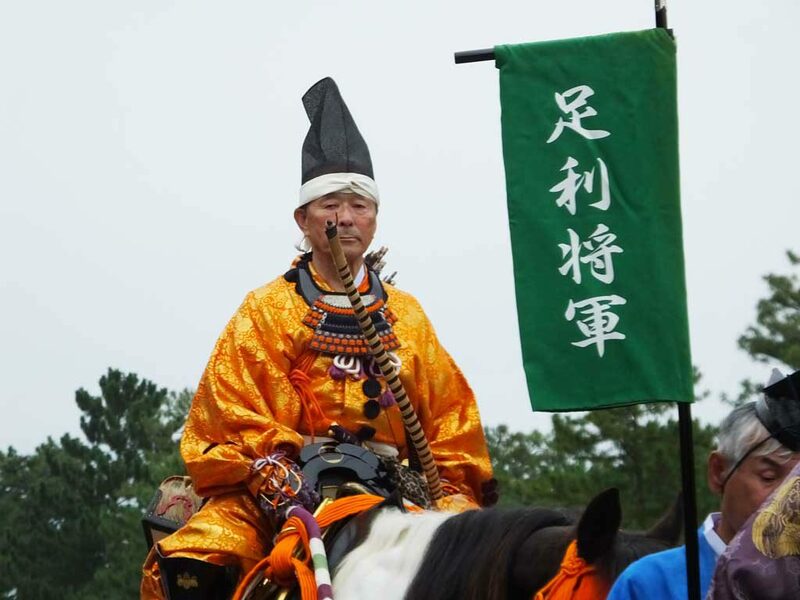 The beginning of Jidai Matsuri was a festival with a procession held in 1895, which marked 1100 years since for the first time after Heian-kyo was established, a New Year’s celebration was held to venerate Emperor Kanmu (737―806) in 796. 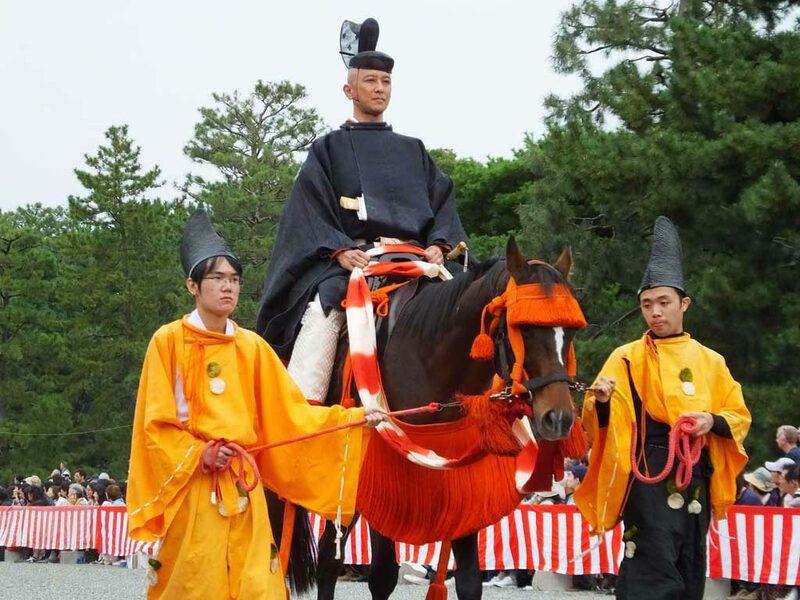 At the same time as the beginning of the festival, Heian Shrine was built to worship the emperor. 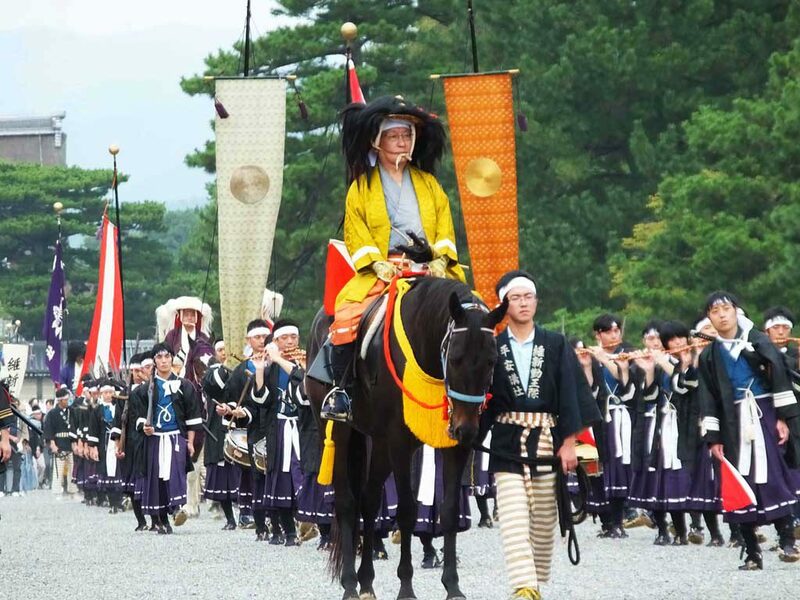 In 1940, Emperor Komei (1831―1867) was also enshrined in the shrine, which means Heian Shrine is dedicated to the first emperor and the last emperor of Heian-kyo. 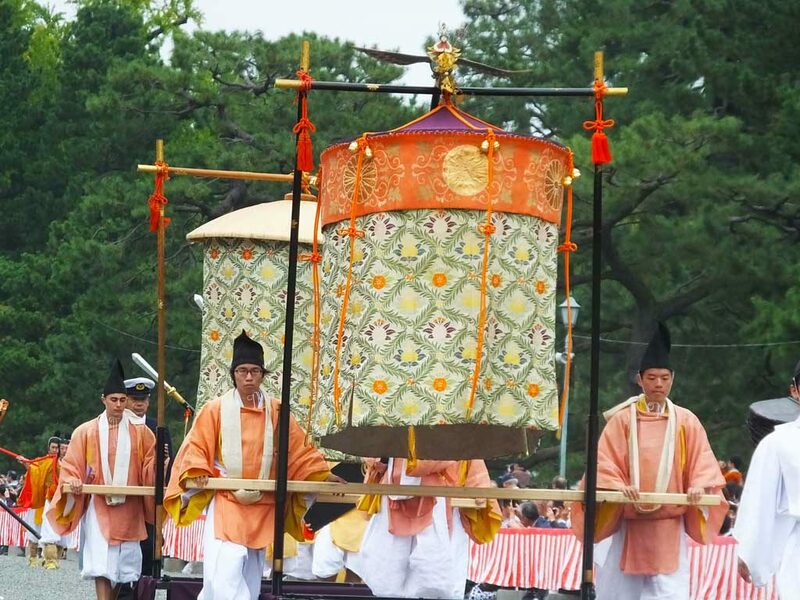 The procession includes these two emperors because the purpose of the festival is for them to look around the city of Kyoto and the citizens once in a year. 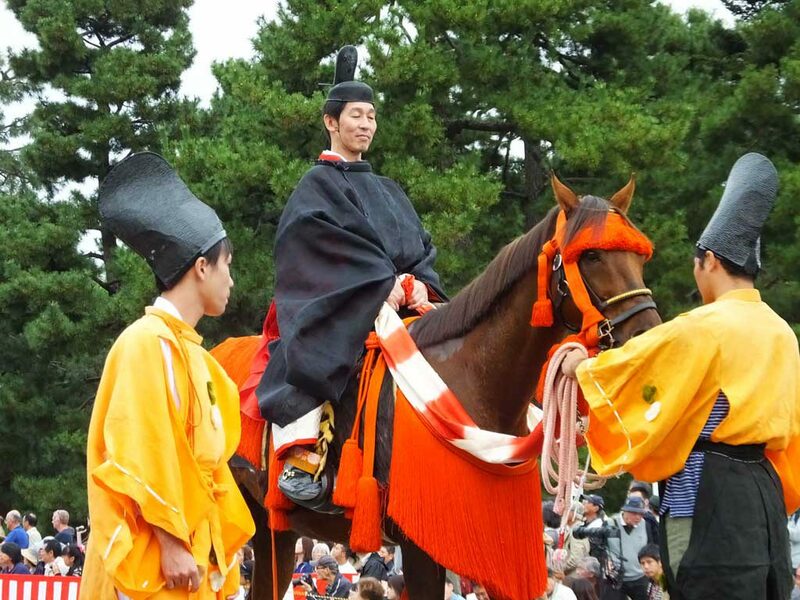 Other parts of the procession are the emperors’ attendants, actually. 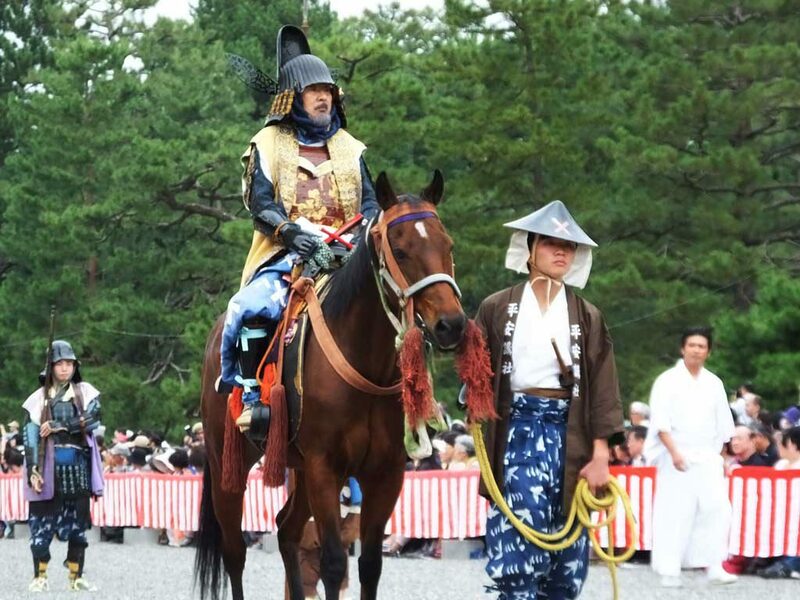 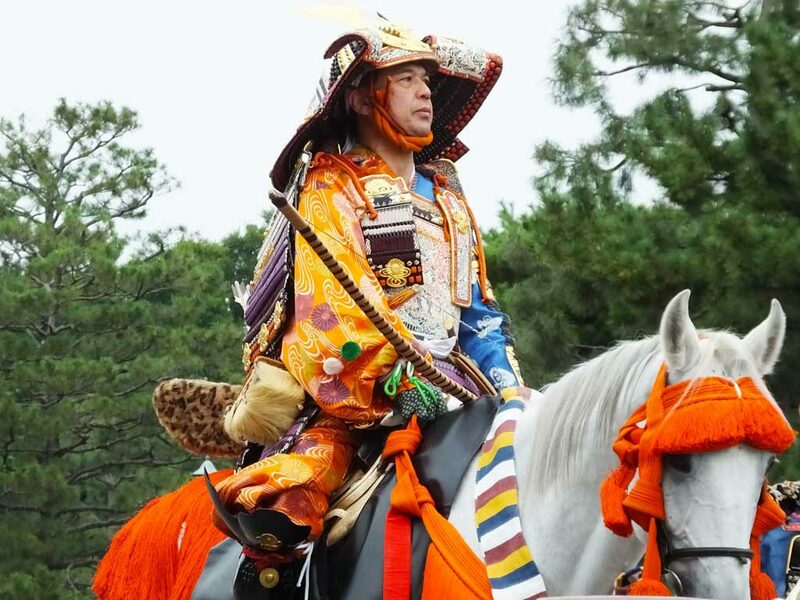 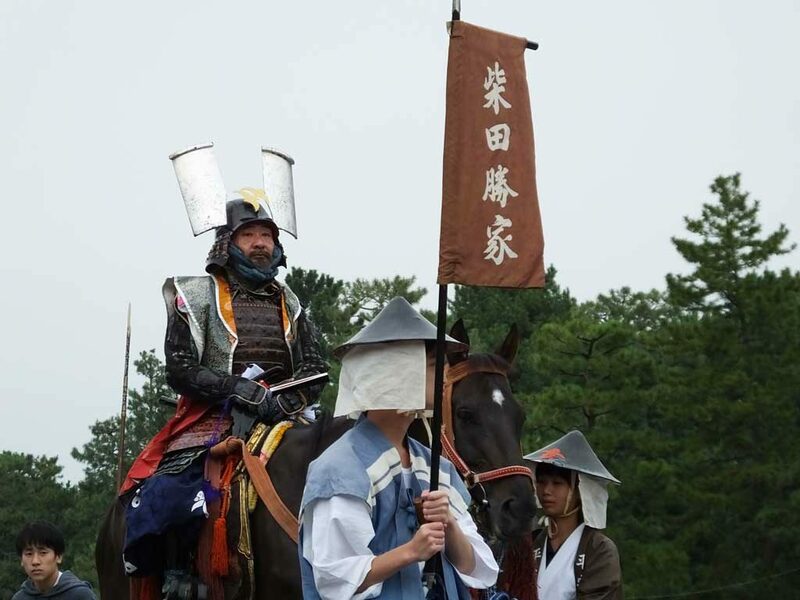 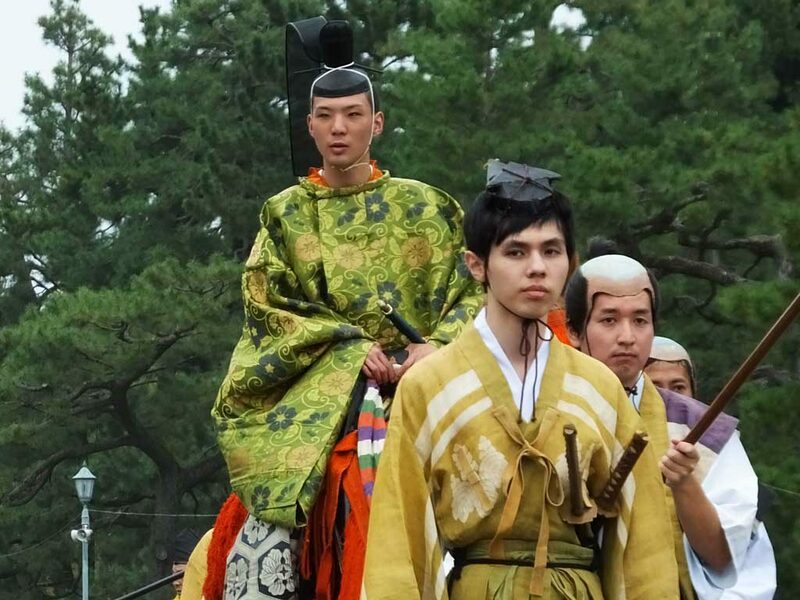 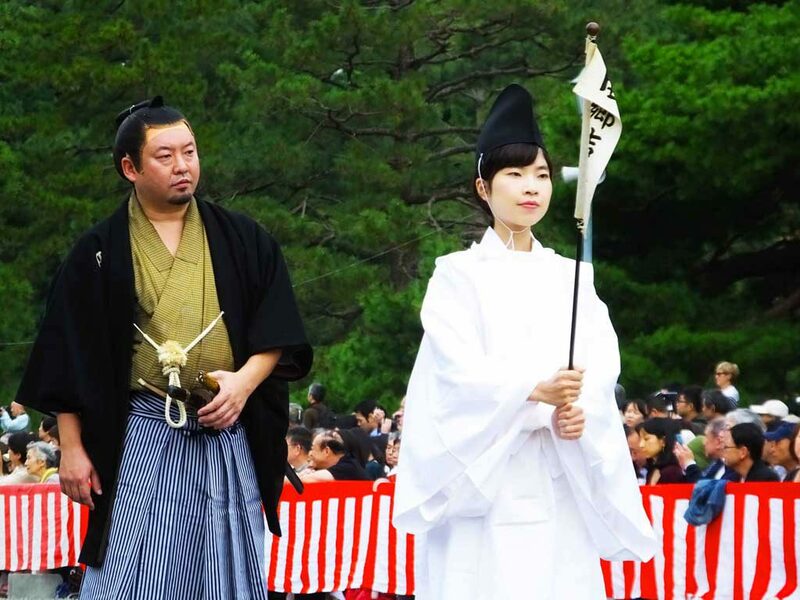 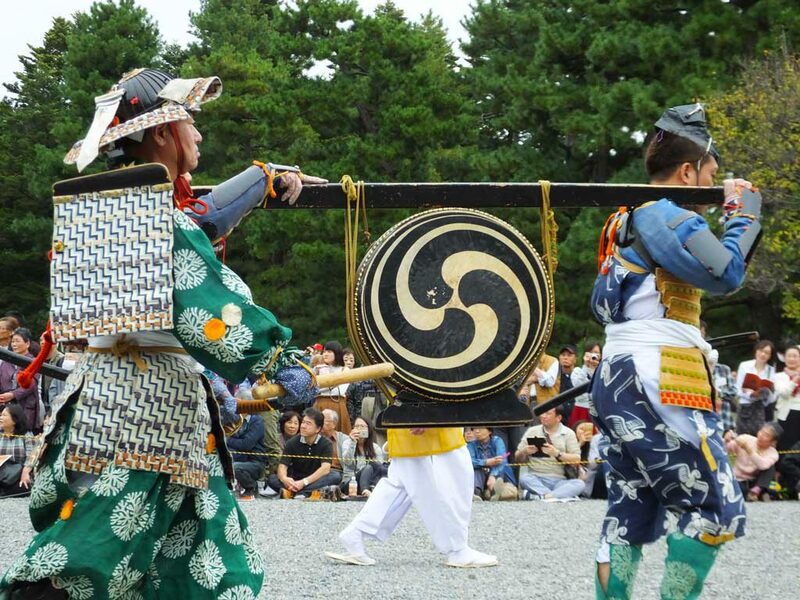 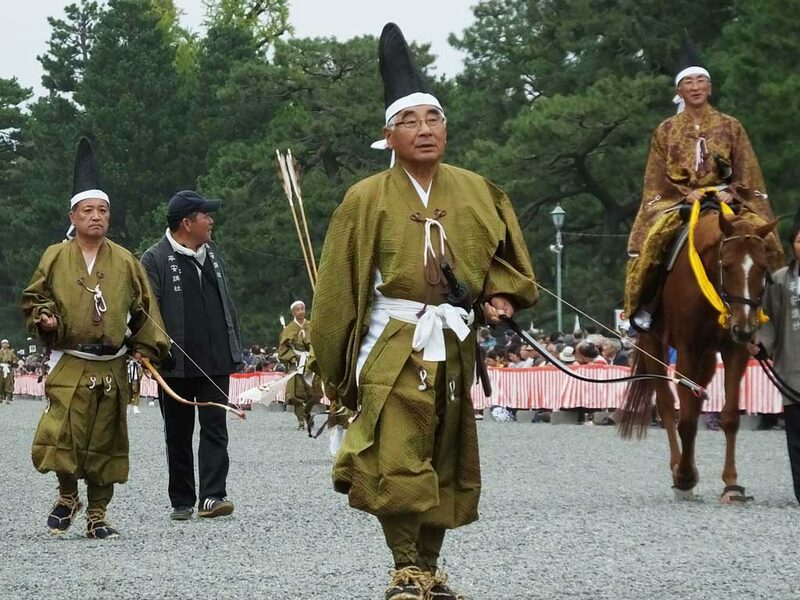 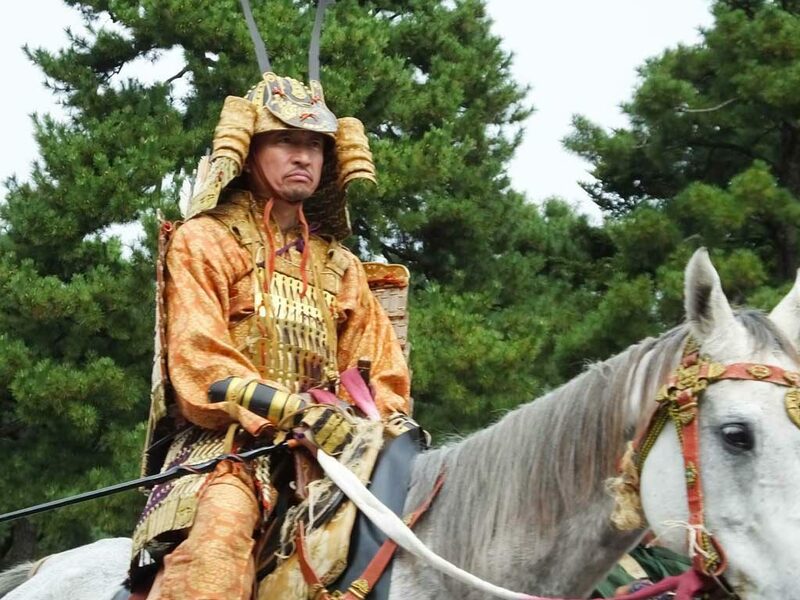 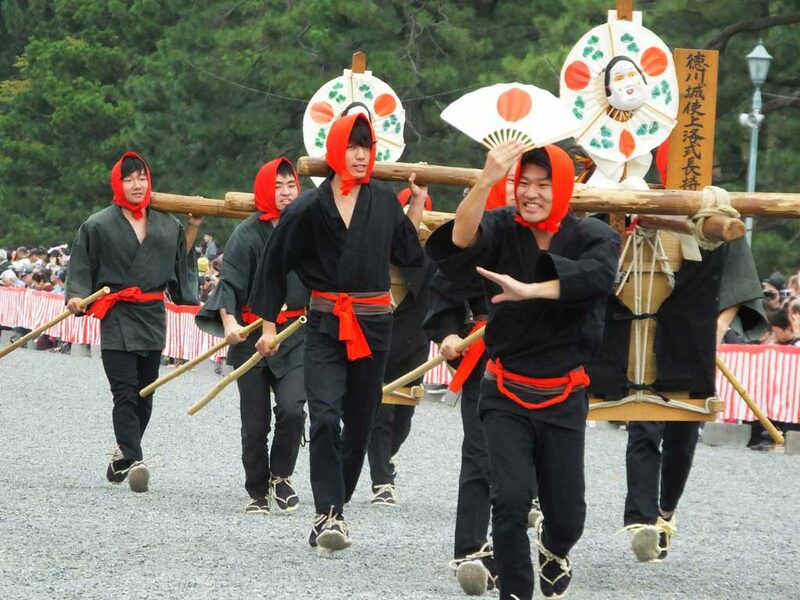 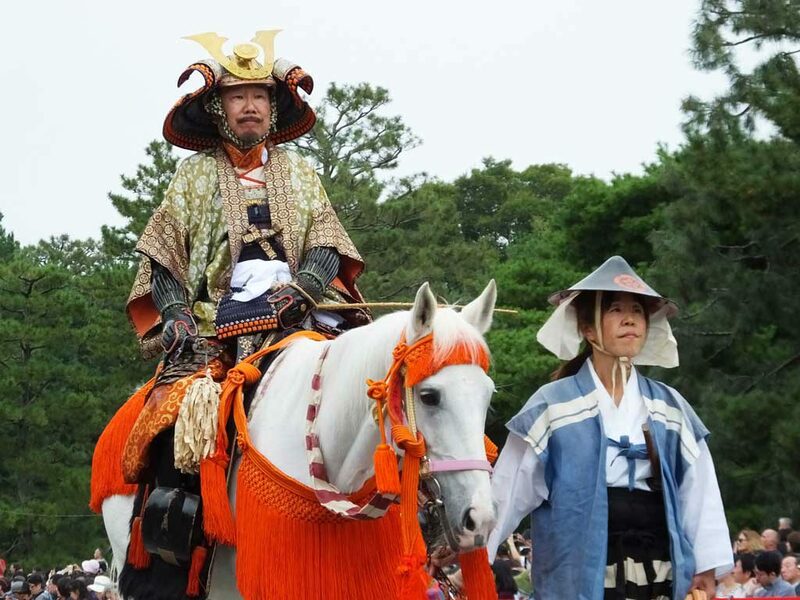 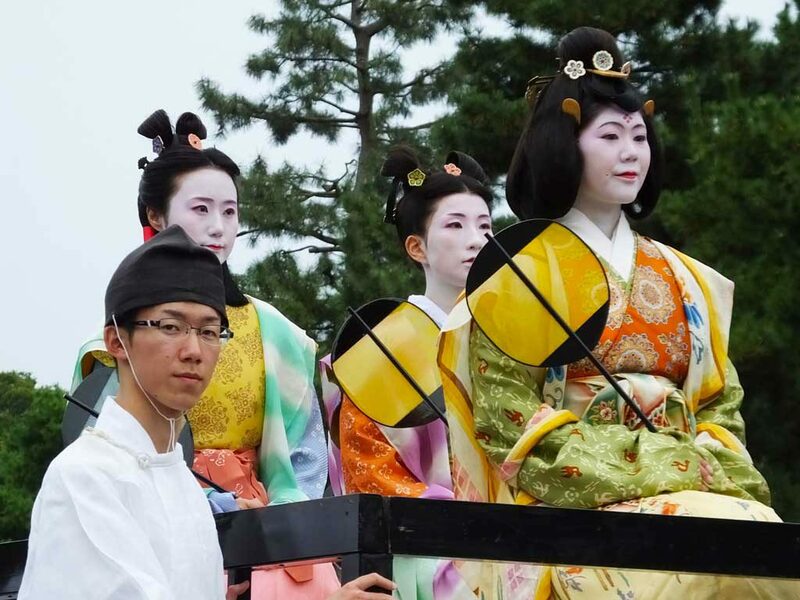 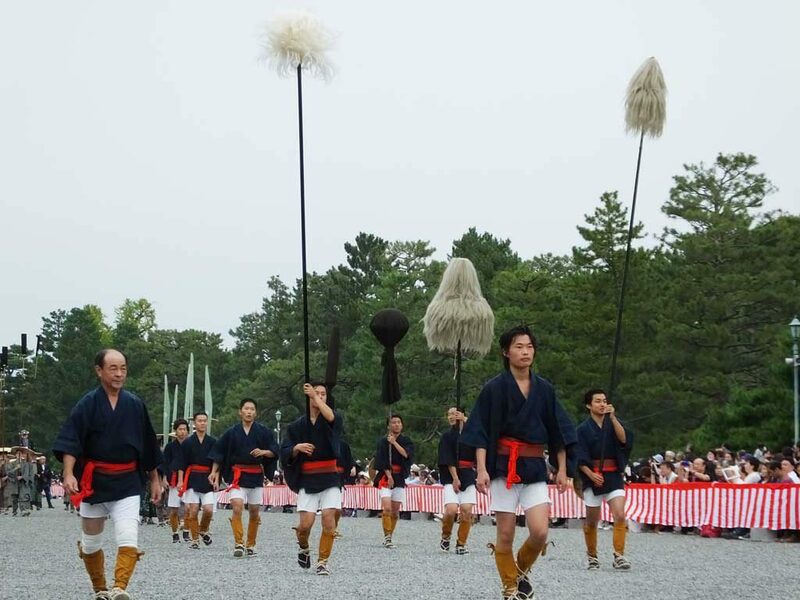 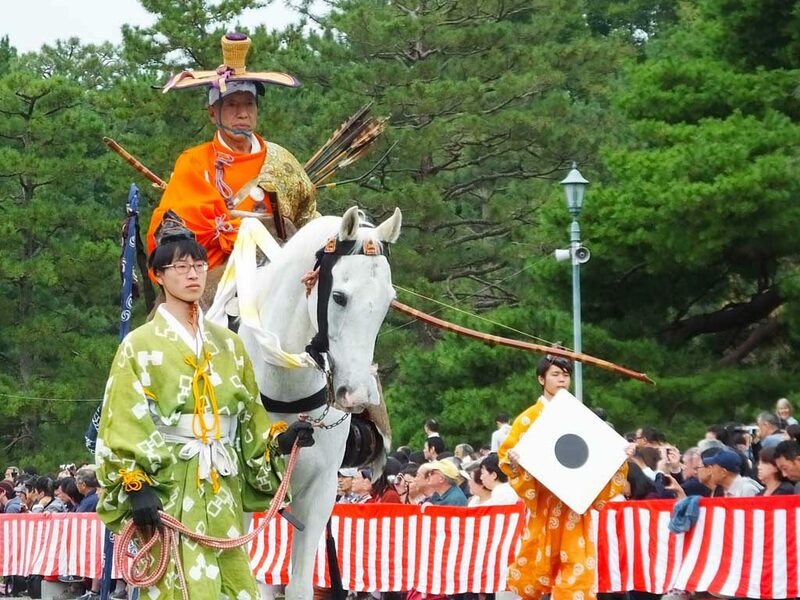 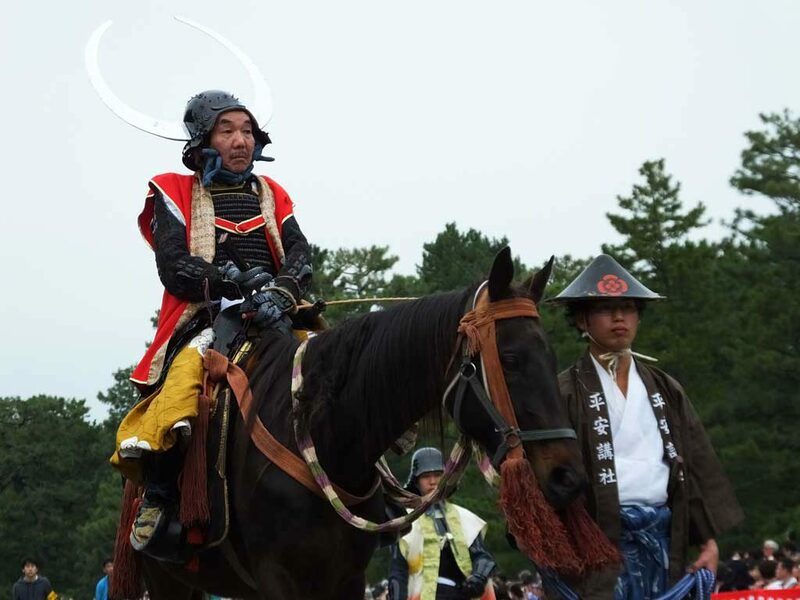 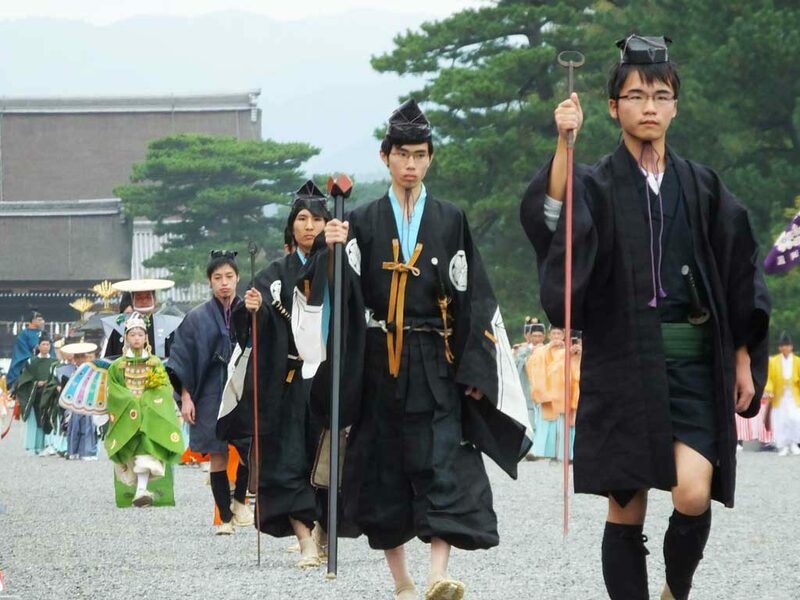 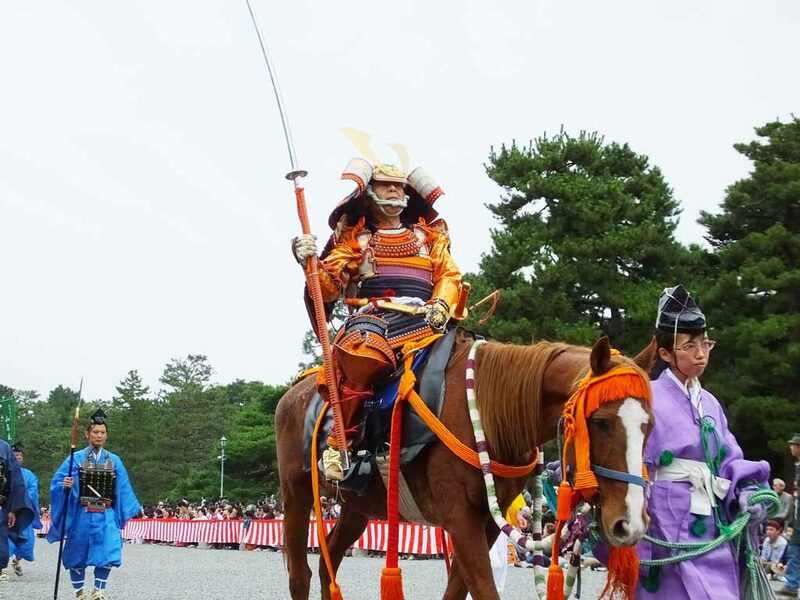 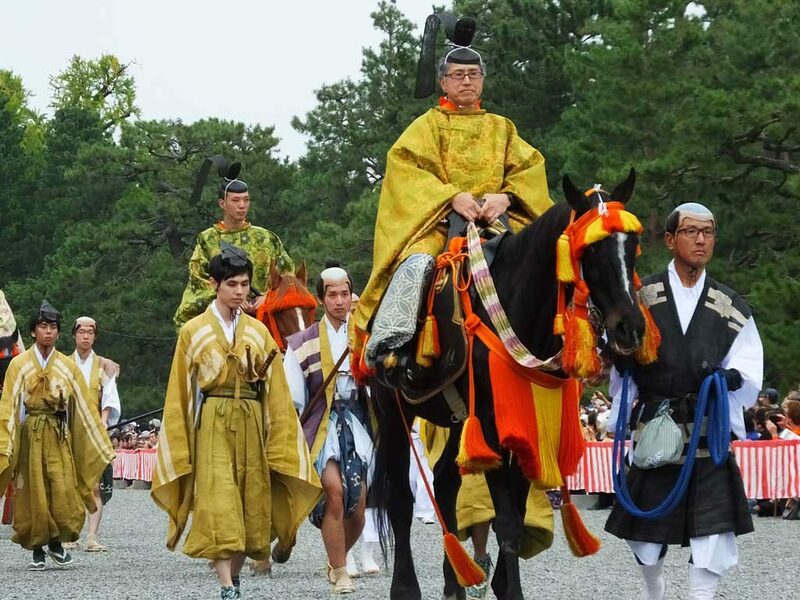 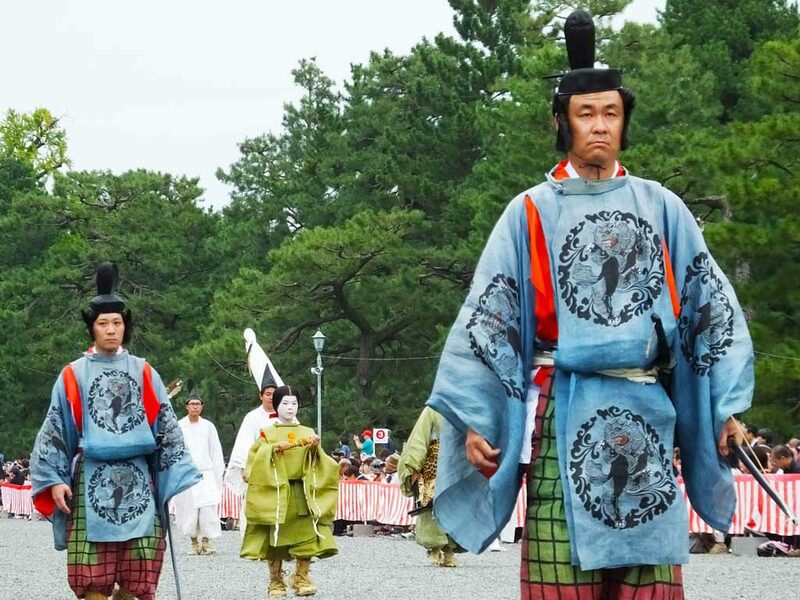 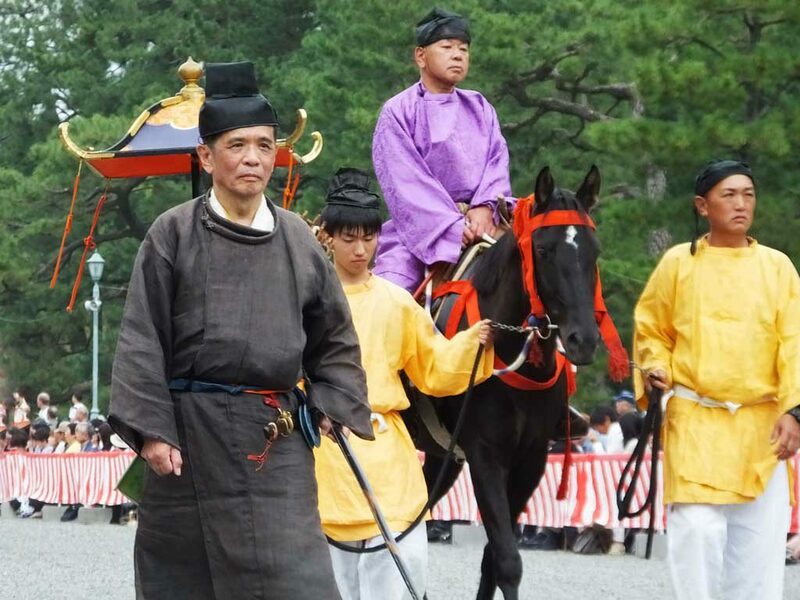 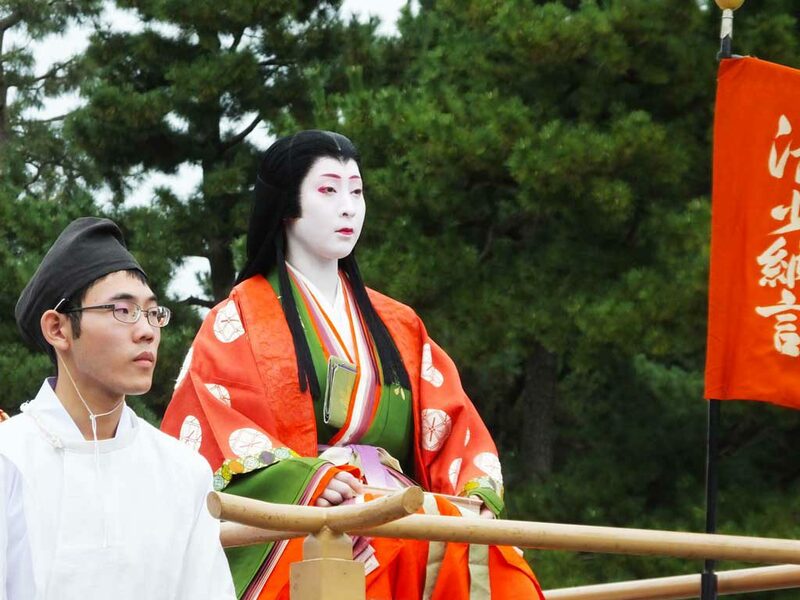 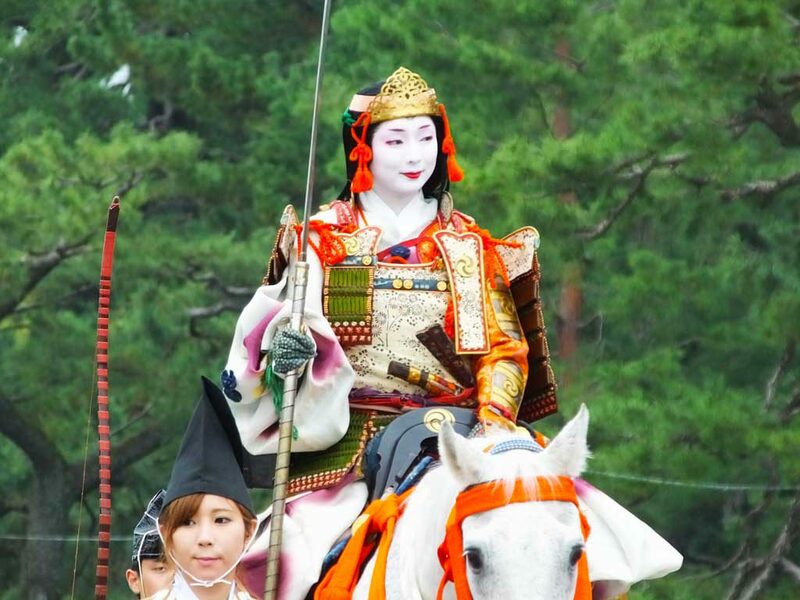 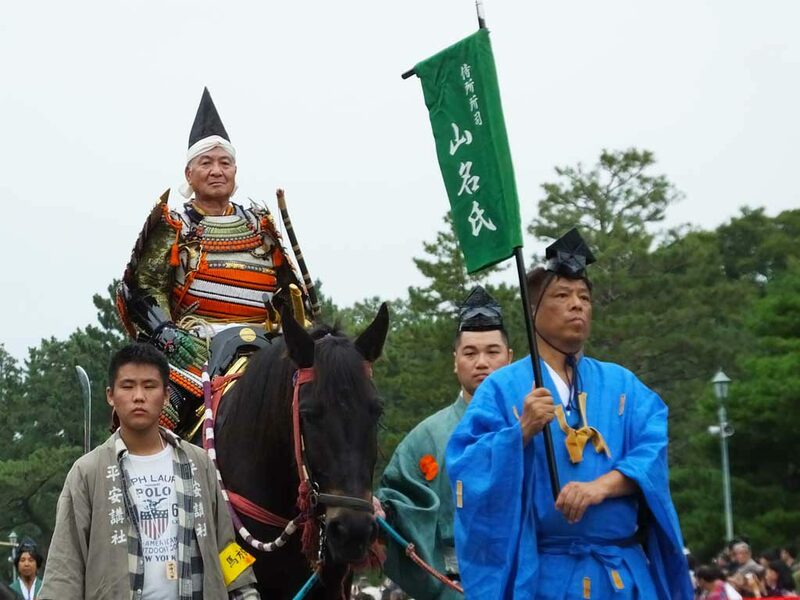 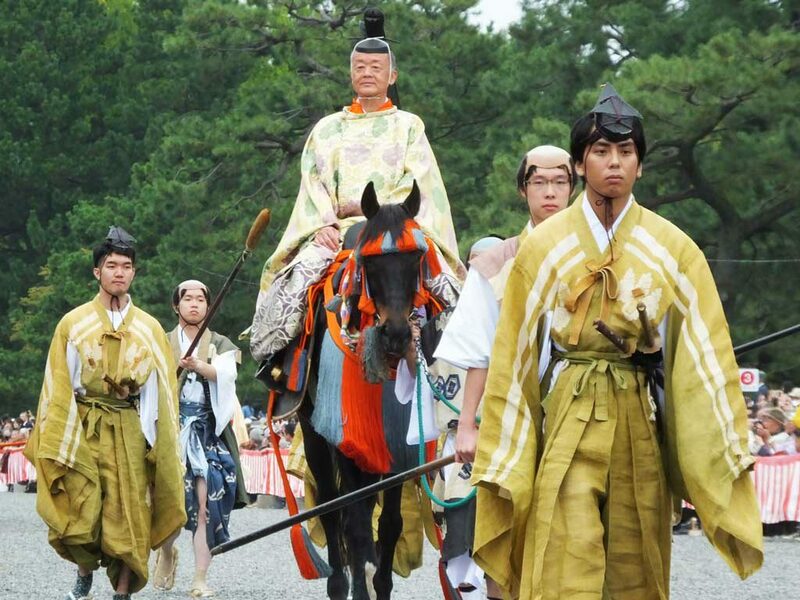 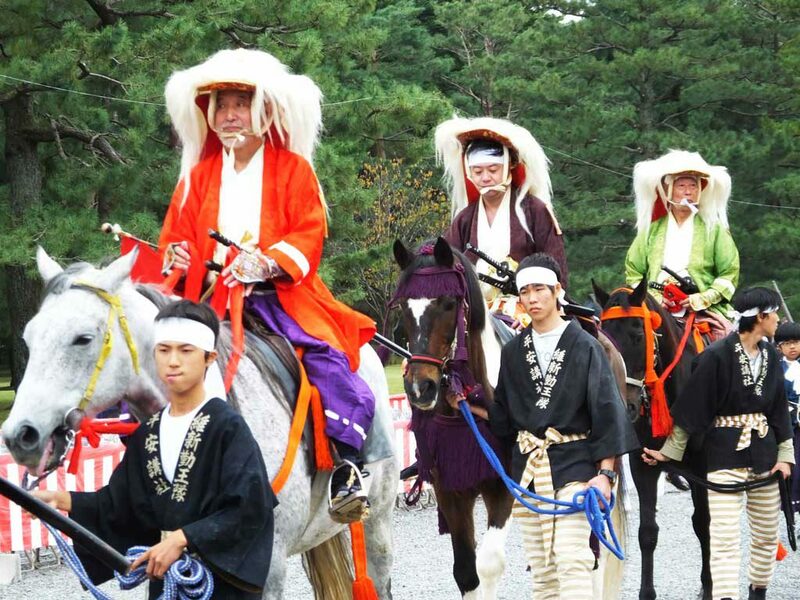 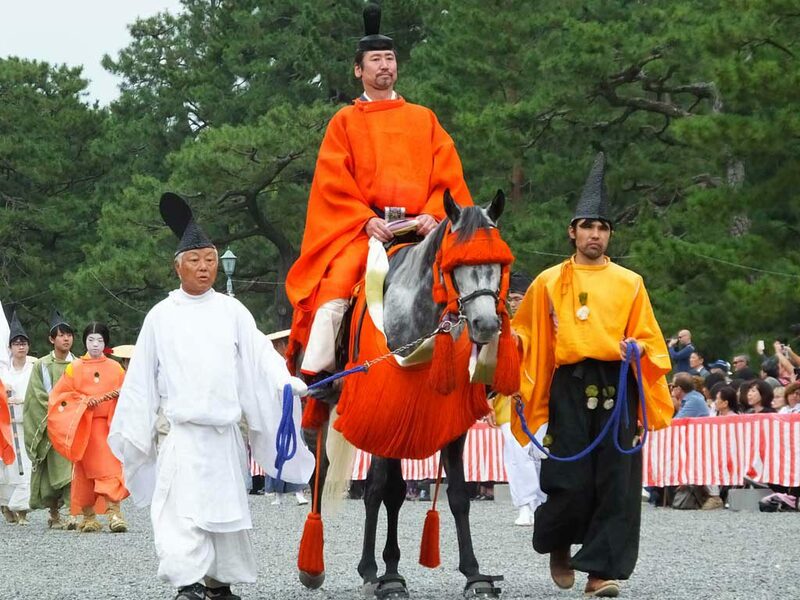 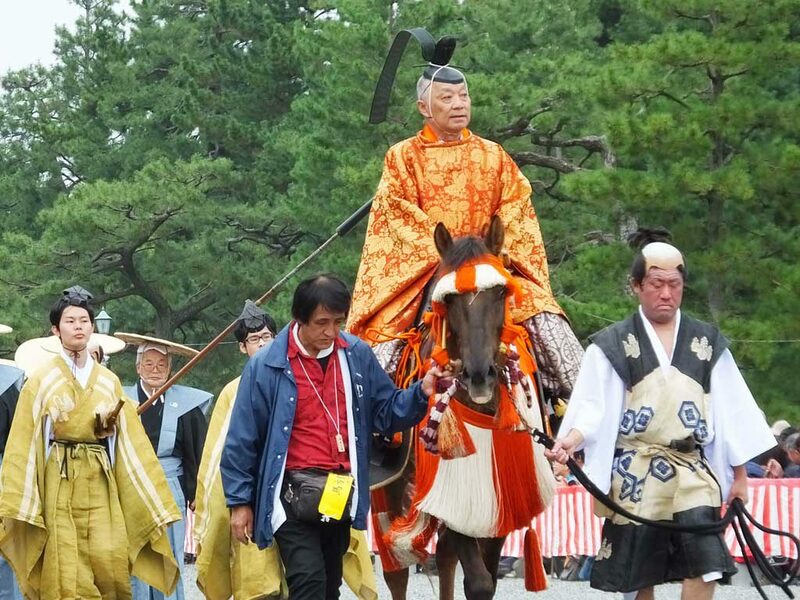 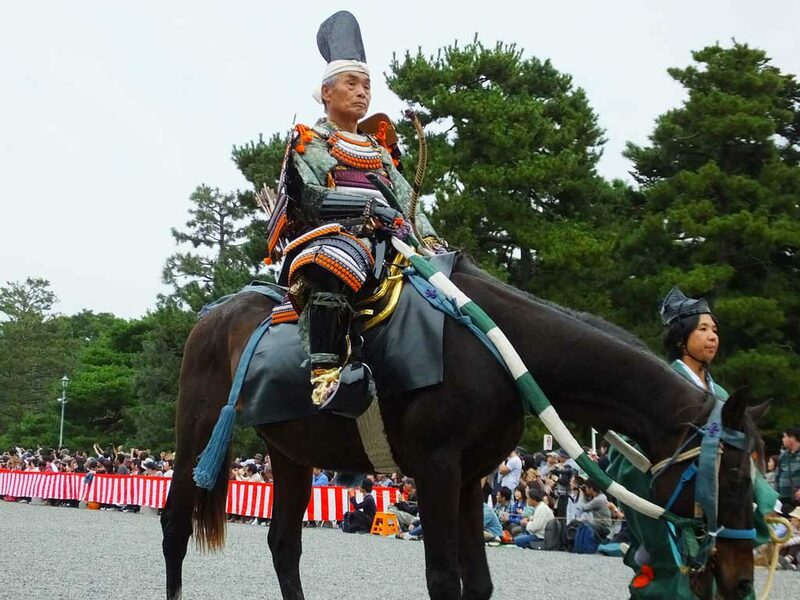 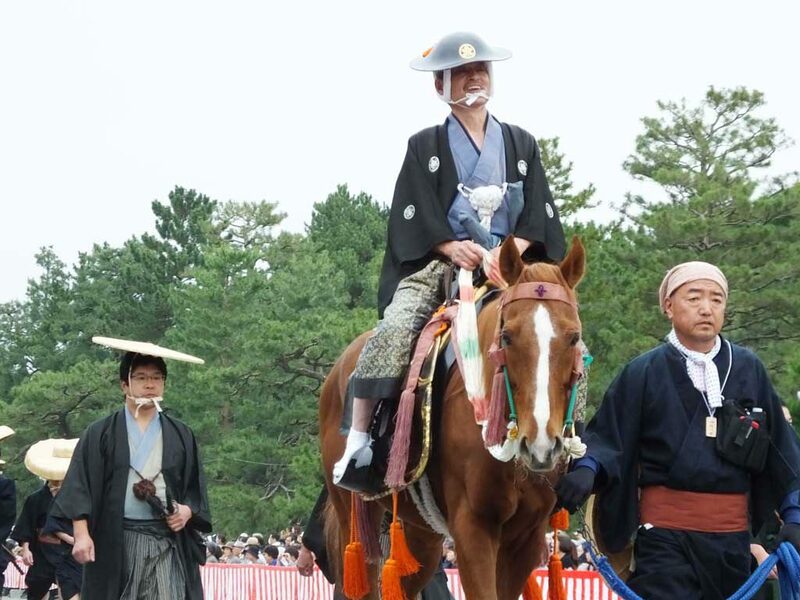 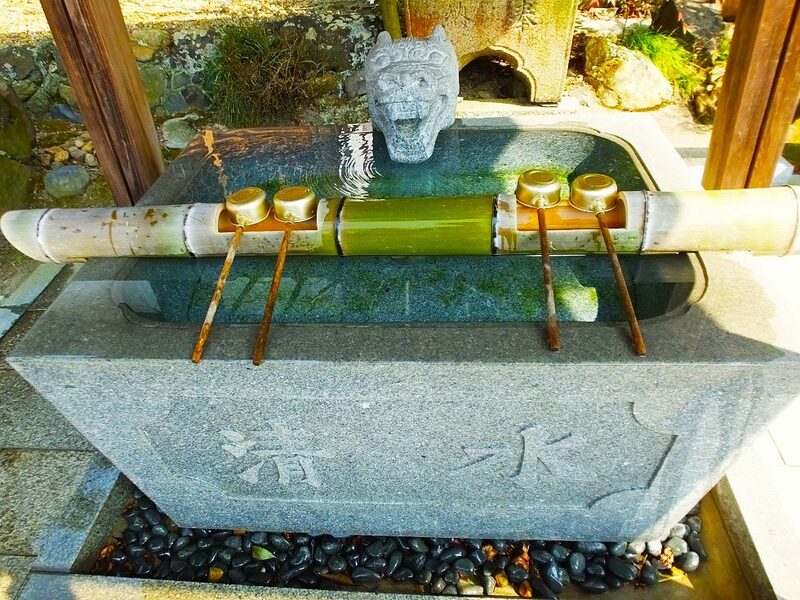 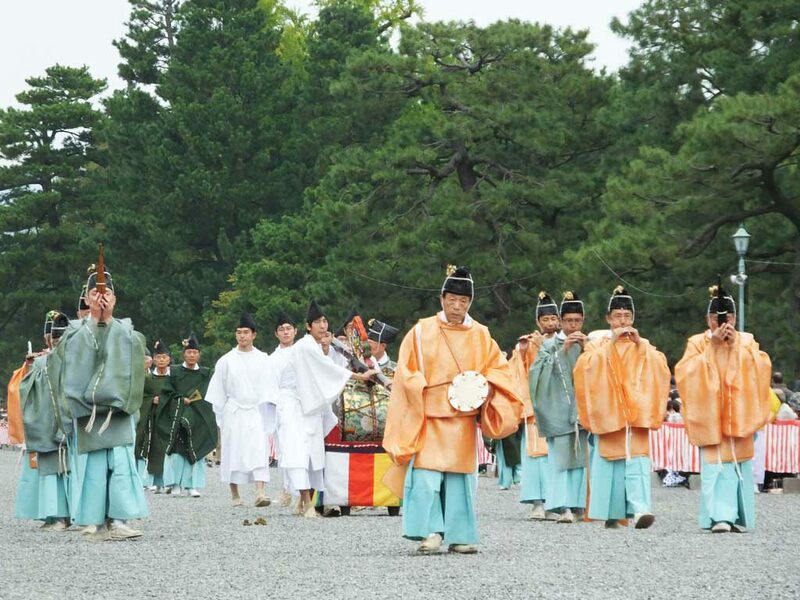 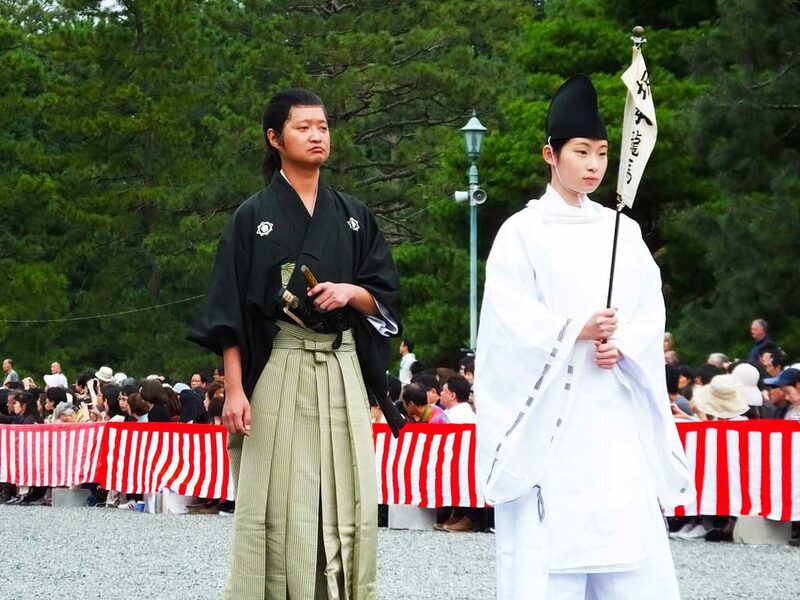 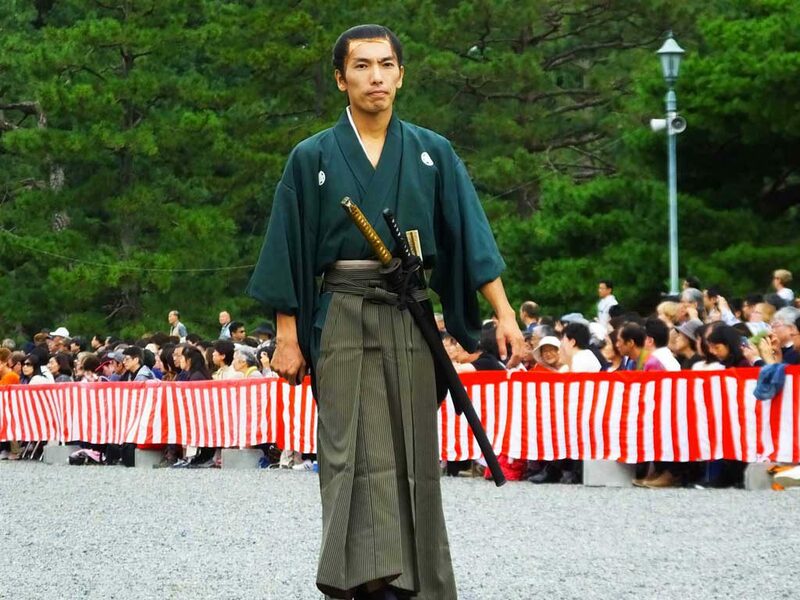 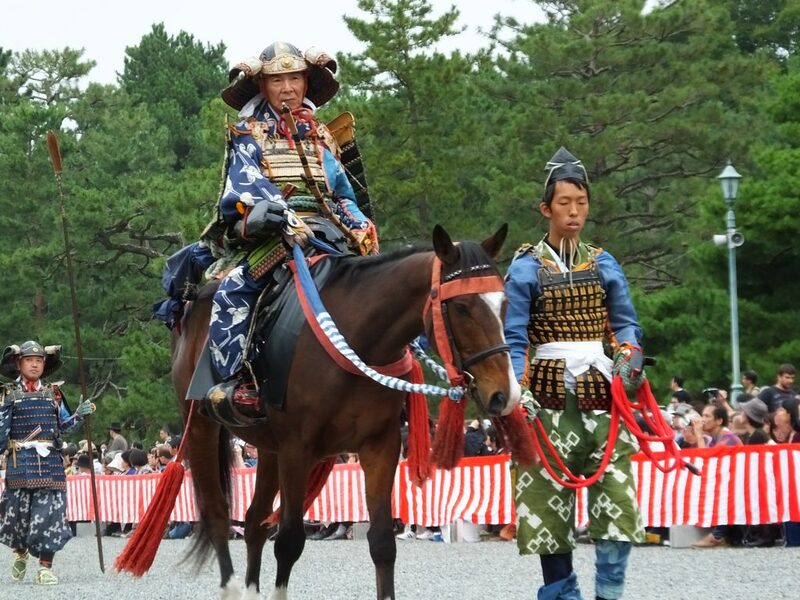 Jidai Gyoretsu is managed by an organization of the citizens of Kyoto called Heian Kosha. 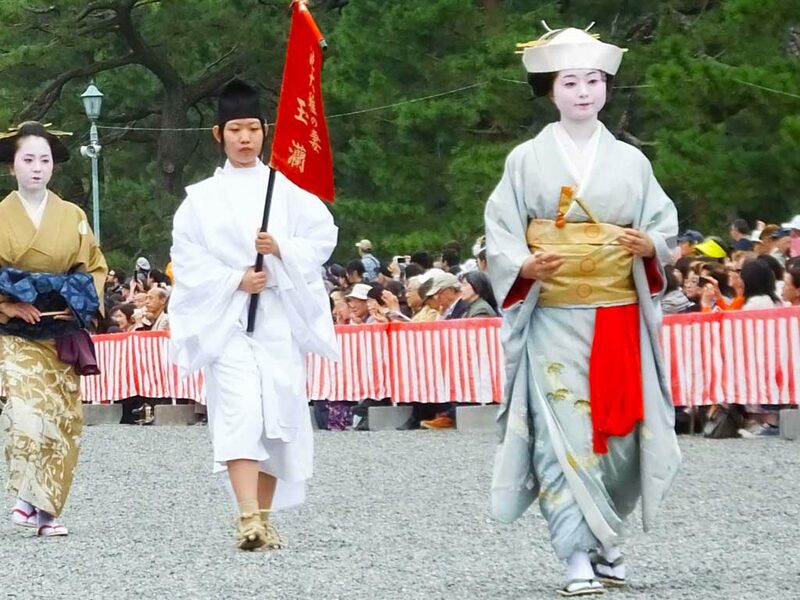 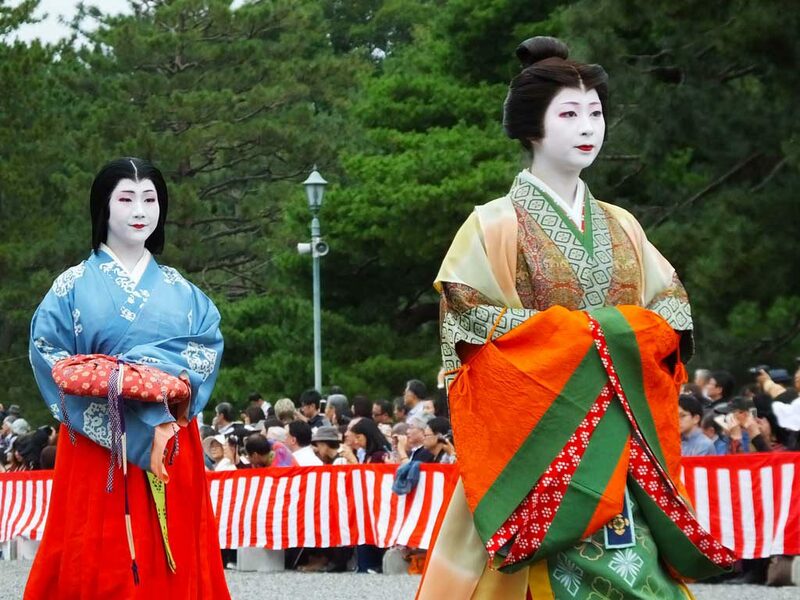 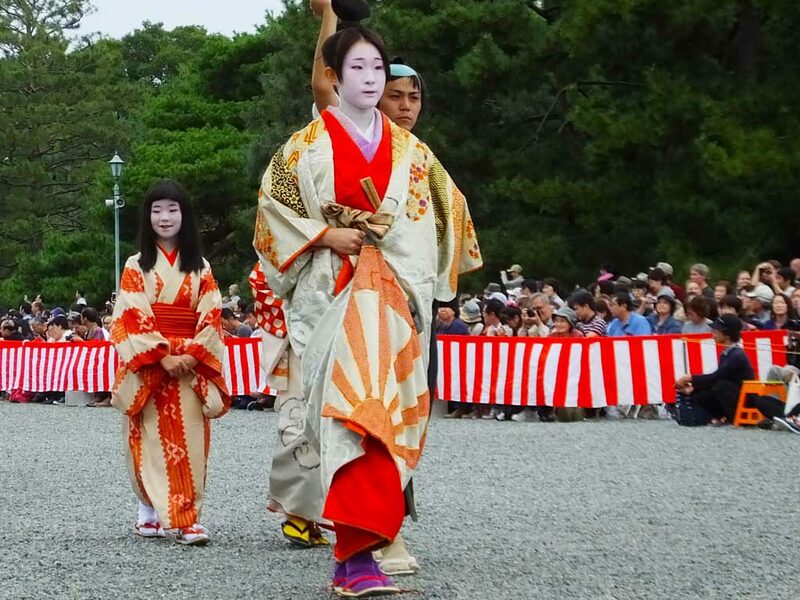 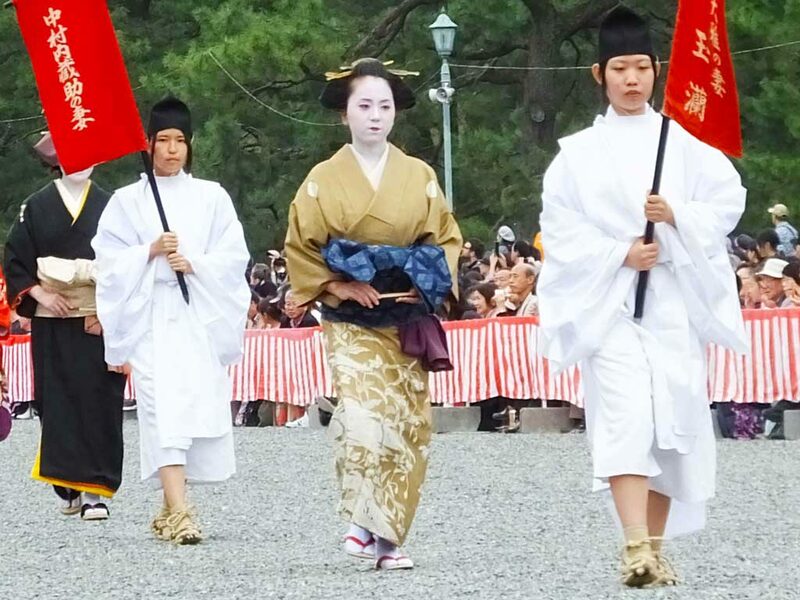 Approximately 2,000 participants march from Kyoto Imperial Palace to Heian Shrine. 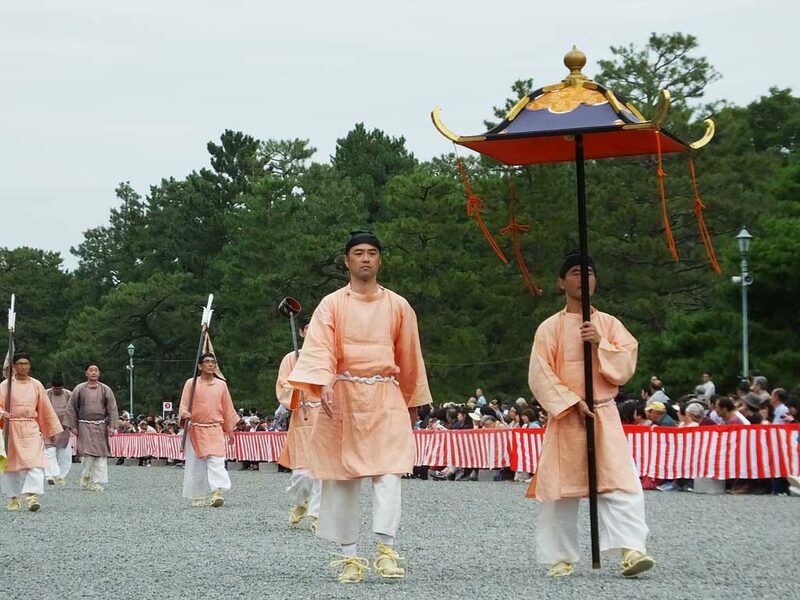 The procession is about 2 kilometers long, and it takes about 2 hours to watch the entire procession pass by. 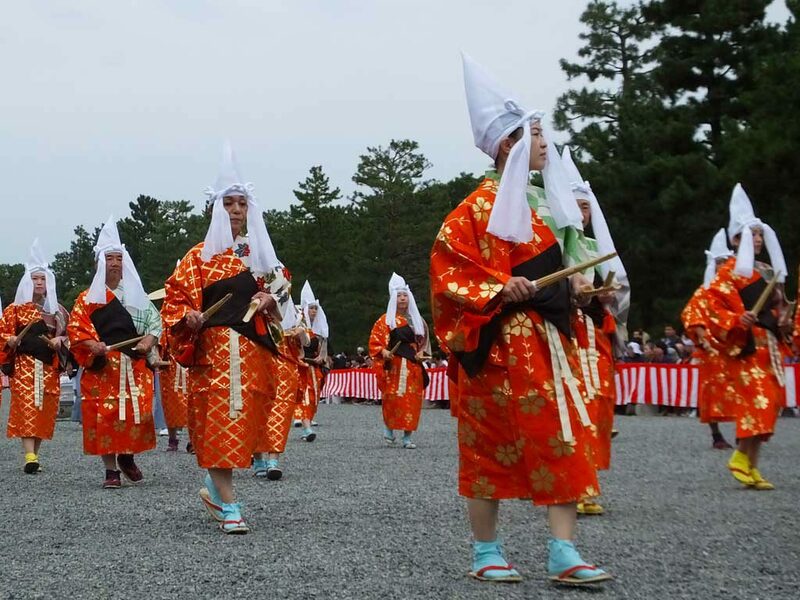 The costumes and ritual equipment in the procession were reproduced by investigating the historical data thoroughly, and the participants of the procession practice how to walk for more than half a year. 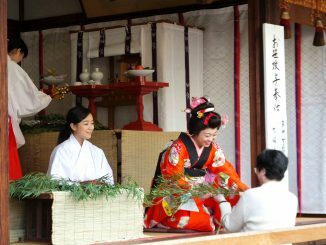 They hope to show people something inimitable and let them know about the history and culture of Kyoto just by looking at it. 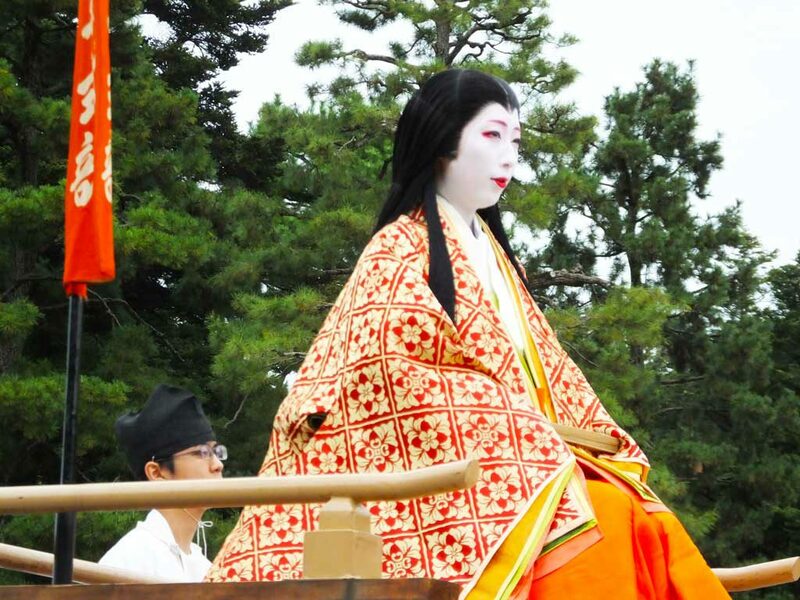 Until 2007, however, there had not been a part of the procession representing the Muromachi Period (1336―1573). 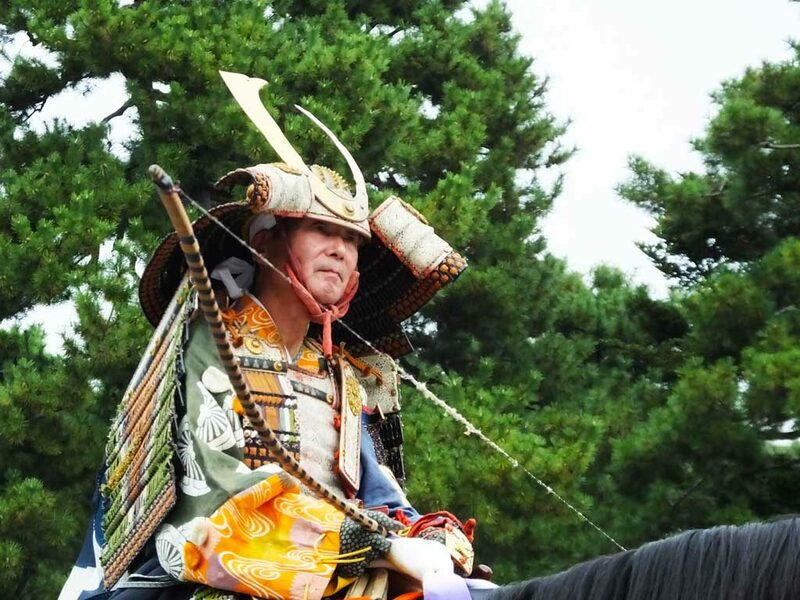 According to one estimate, this is because the shōgun Ashikaga Takauji (1305―1358) who governed the country in the Muromachi Period (also known as the Ashikaga Period) had a bad relationship with Emperor Go-Daigo (1288―1339). 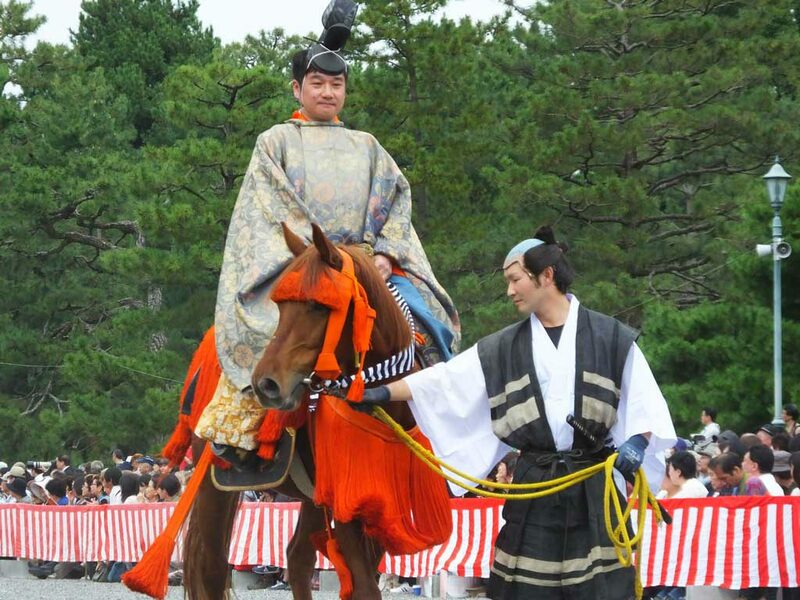 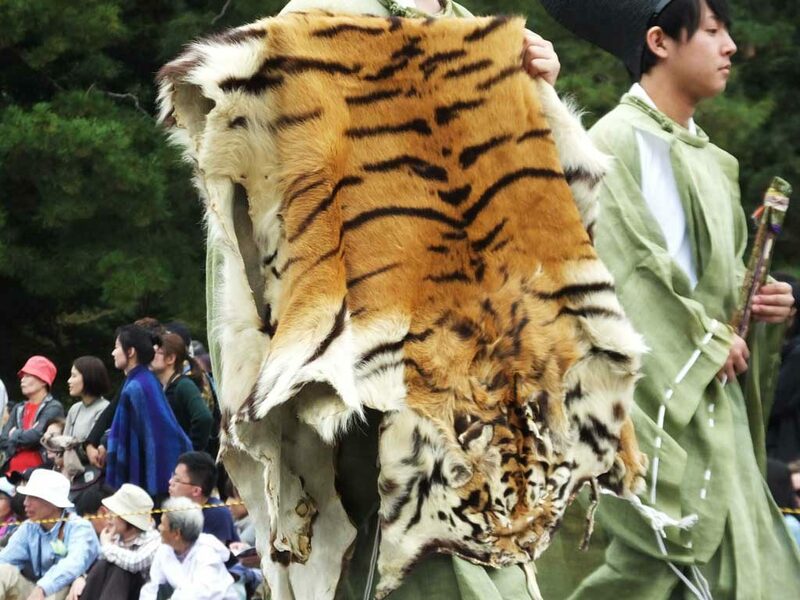 I think maybe this festival is held to show respect to emperors. 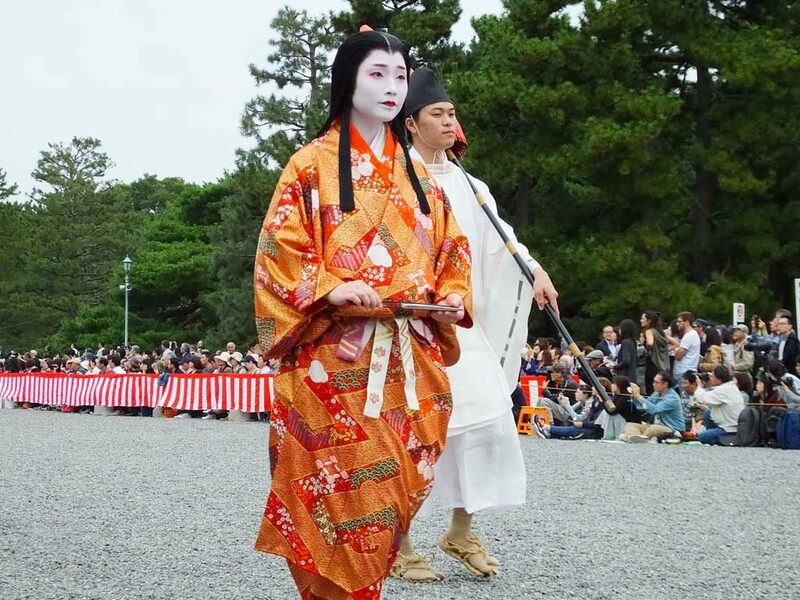 I think Kyoto Imperial Palace is the best place to watch it because the landscape is beautiful with lots of trees, and the participants are not tired yet. 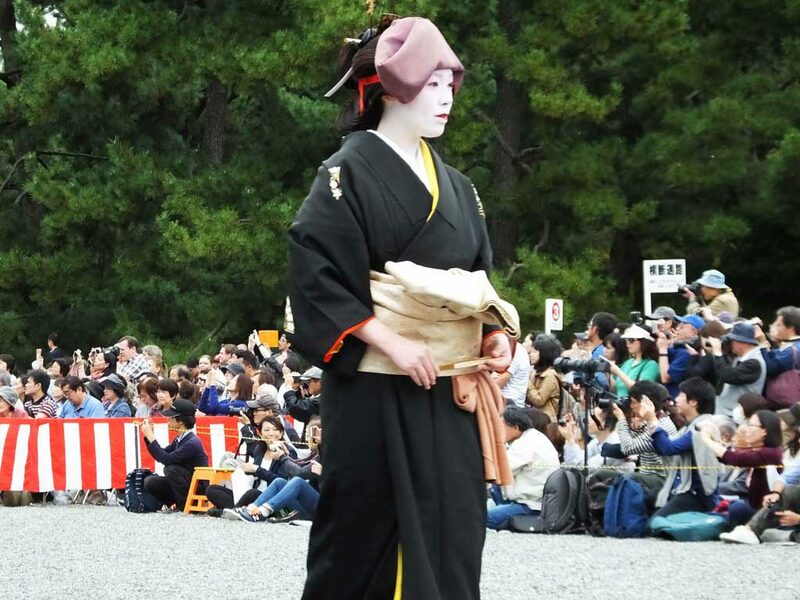 I went there at 9:30 a.m. to get the front row. 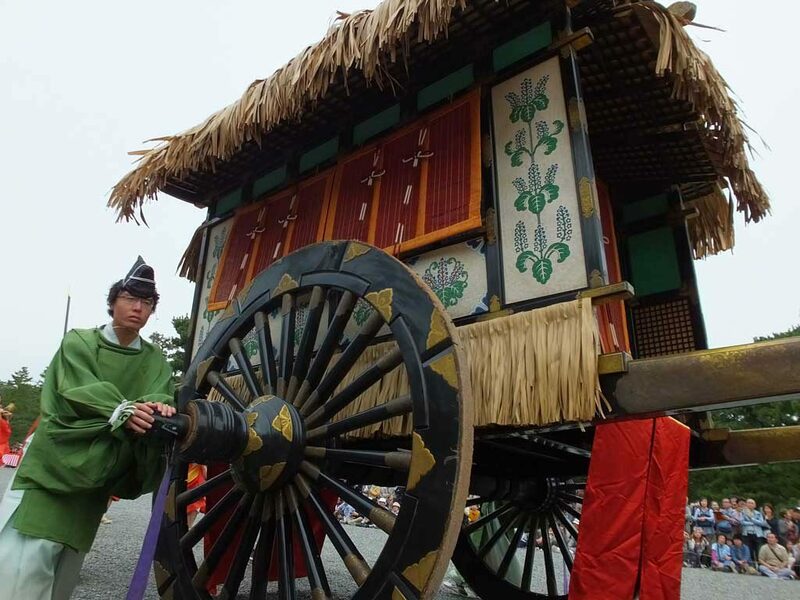 Around 10:00 a.m, the most important part of the procession with mikoshi came from Heian Shrine. 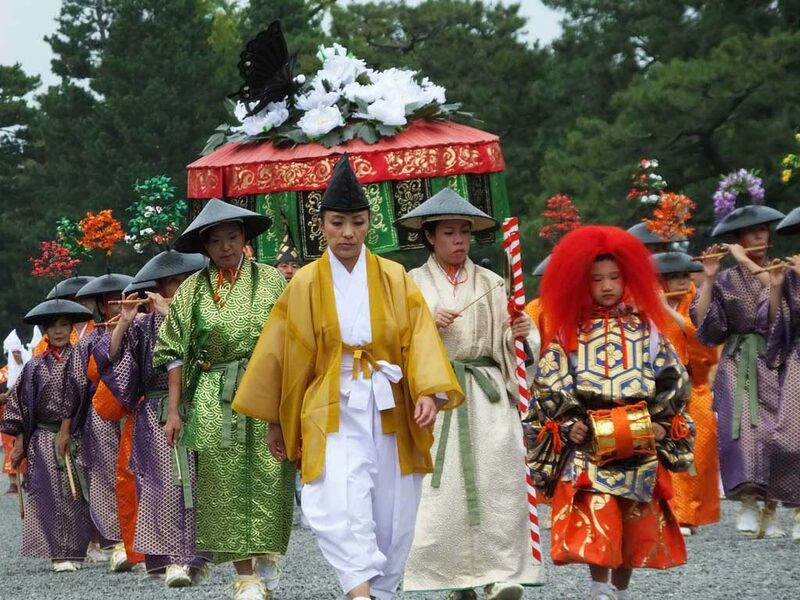 Did you notice that this procession came from the opposite direction? 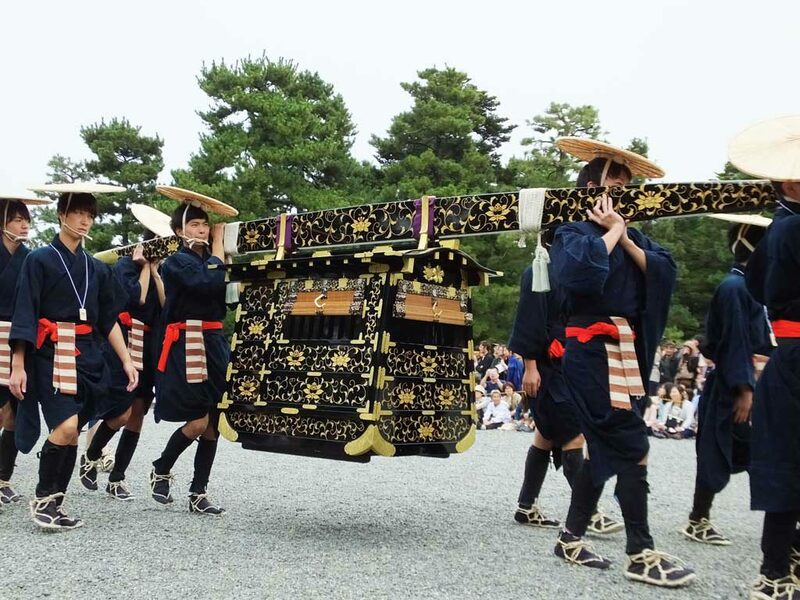 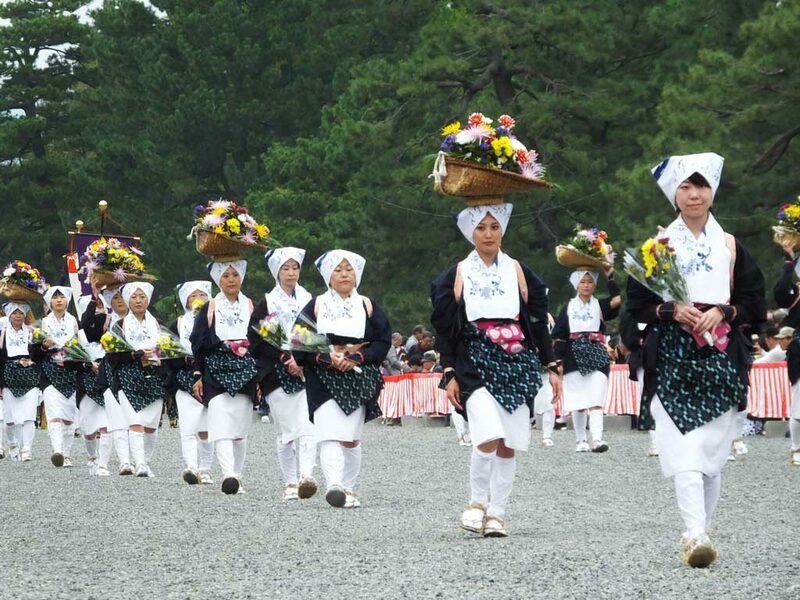 This is not what we call “the procession of Jidai Matsuri” yet. 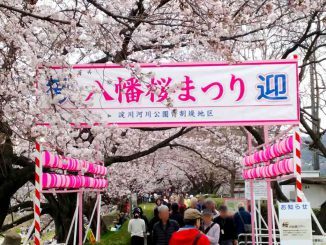 It starts 2 hours later. 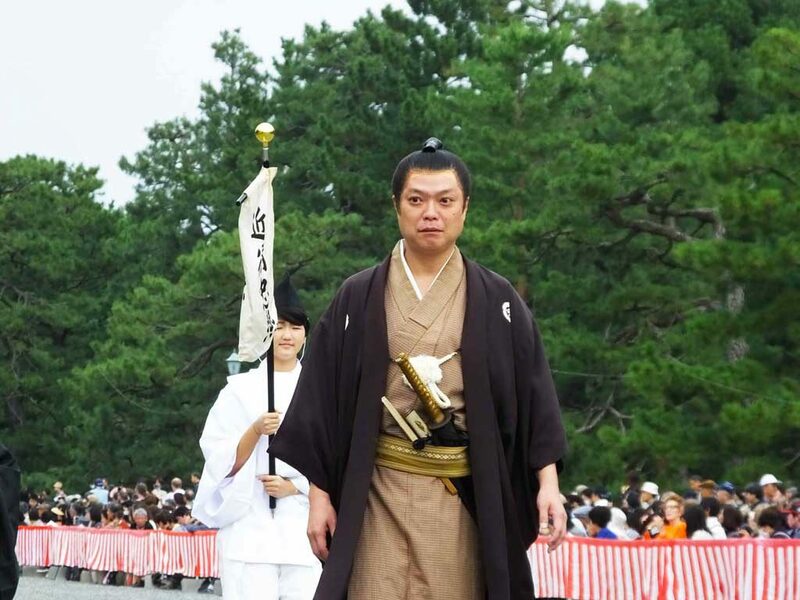 Let’s see Jidai Gyoretsu now!